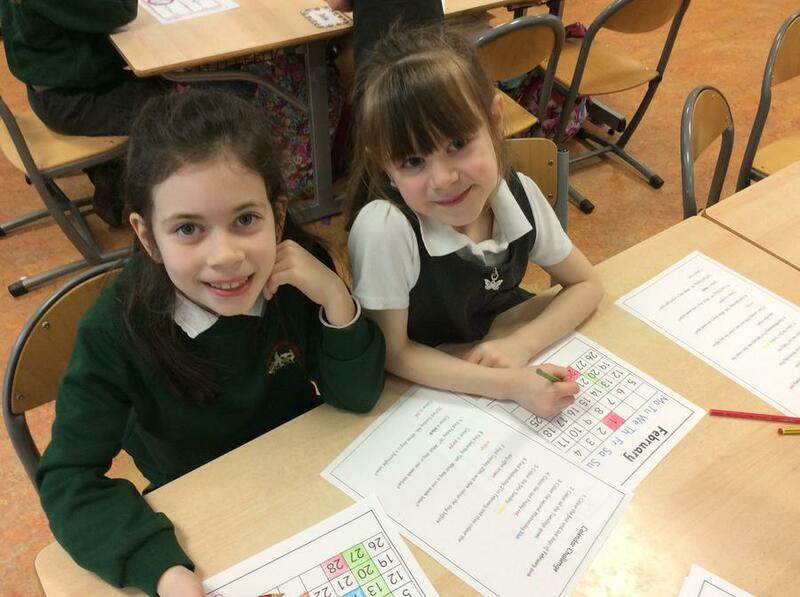 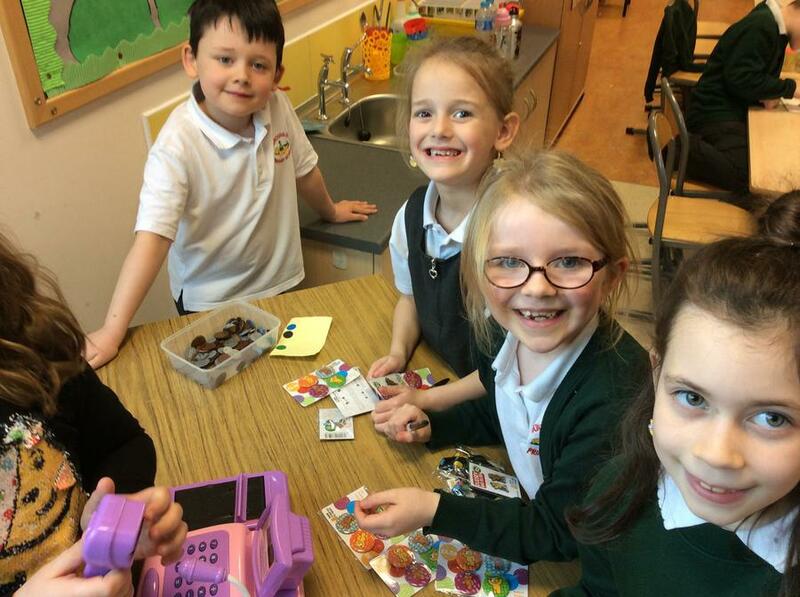 P3DM loved all the activities that were planned during Numeracy Week 2018. 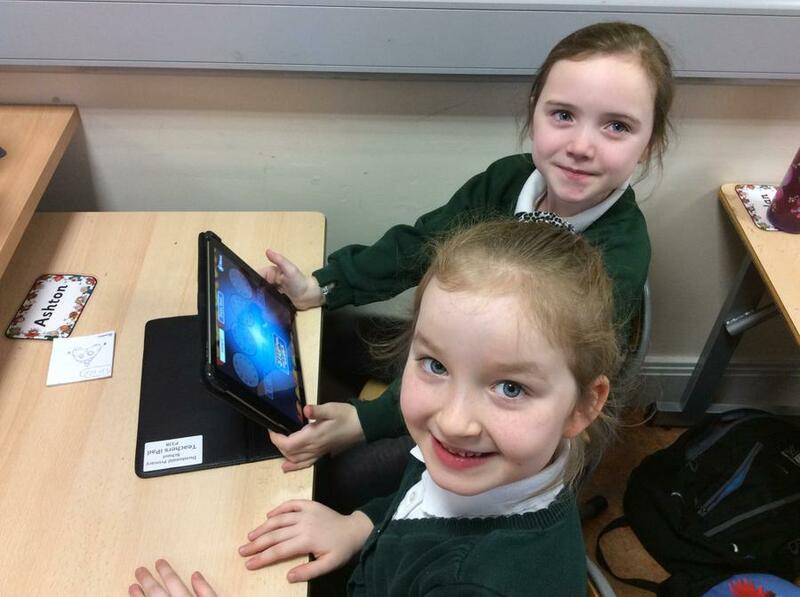 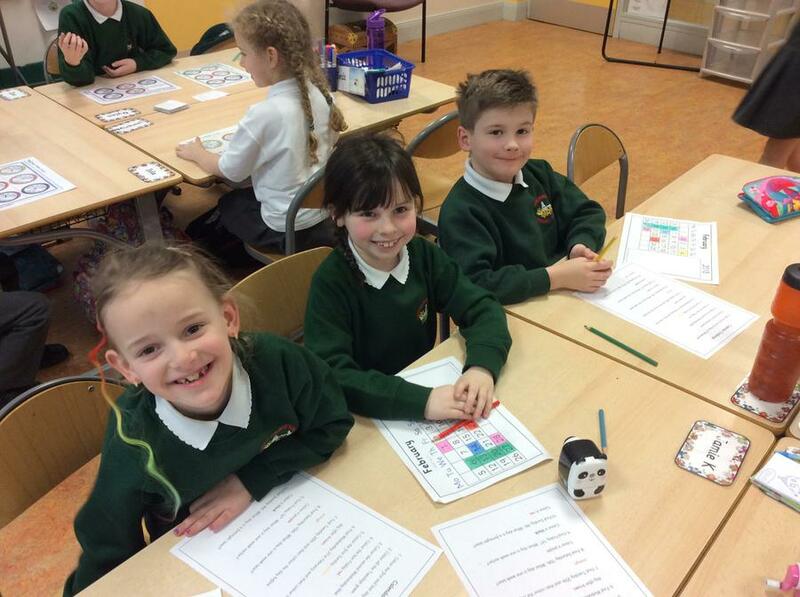 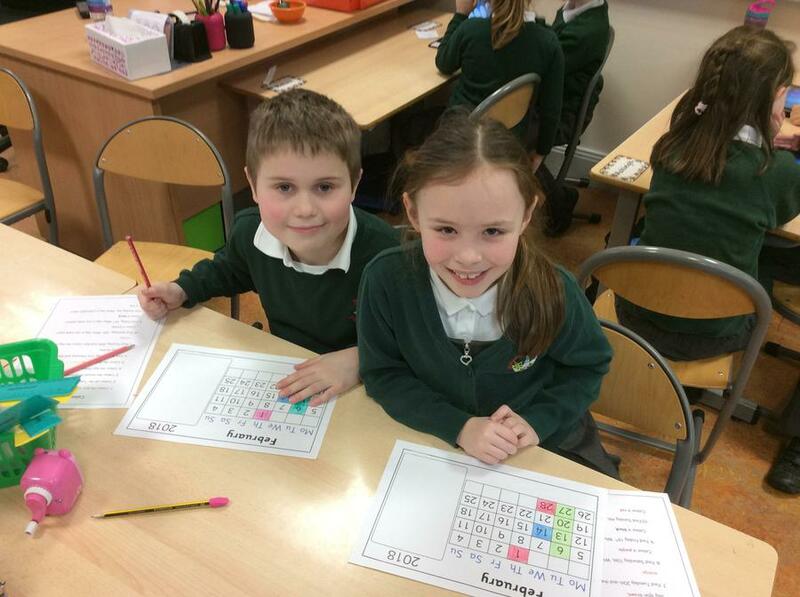 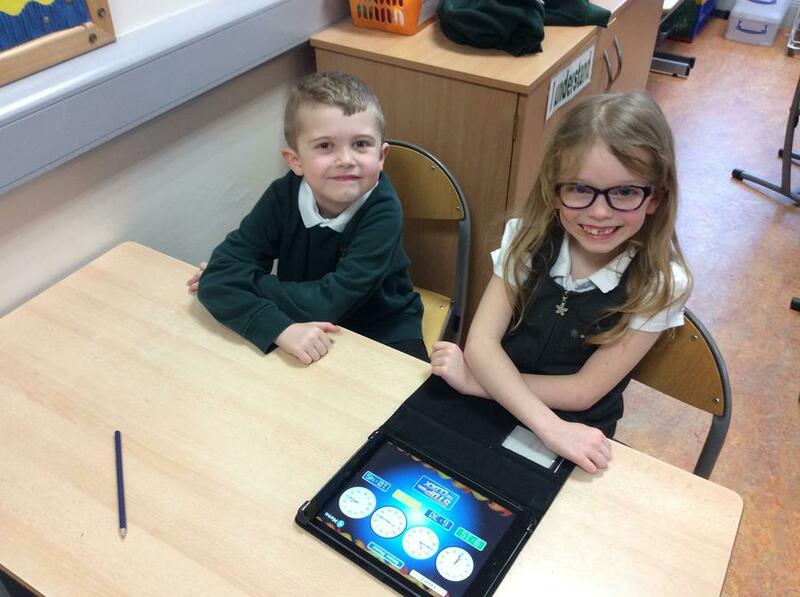 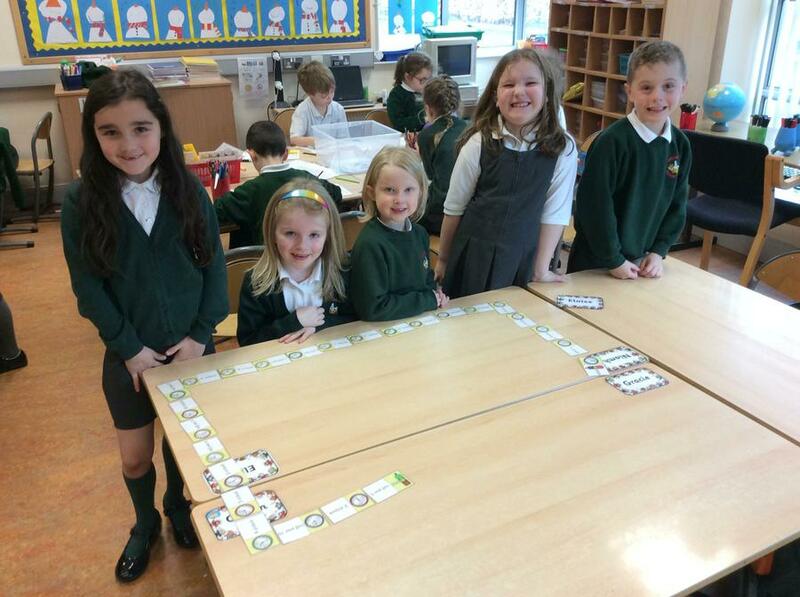 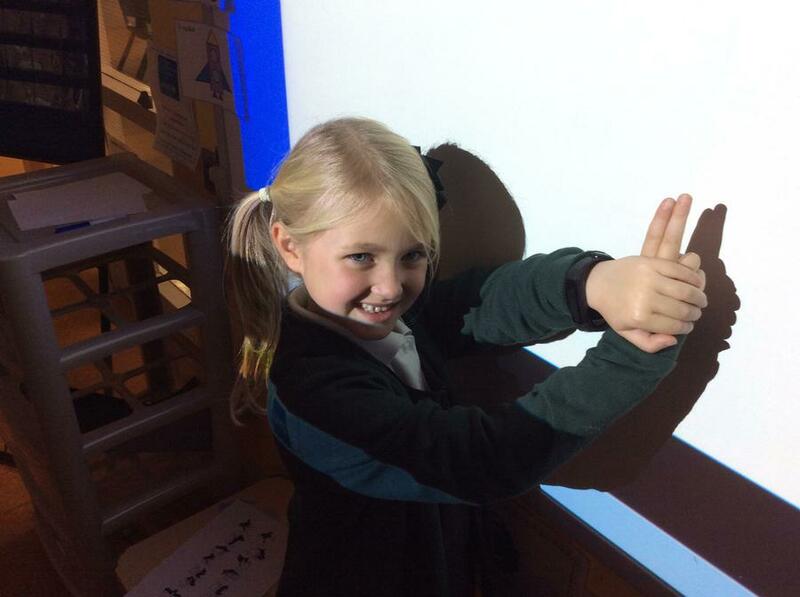 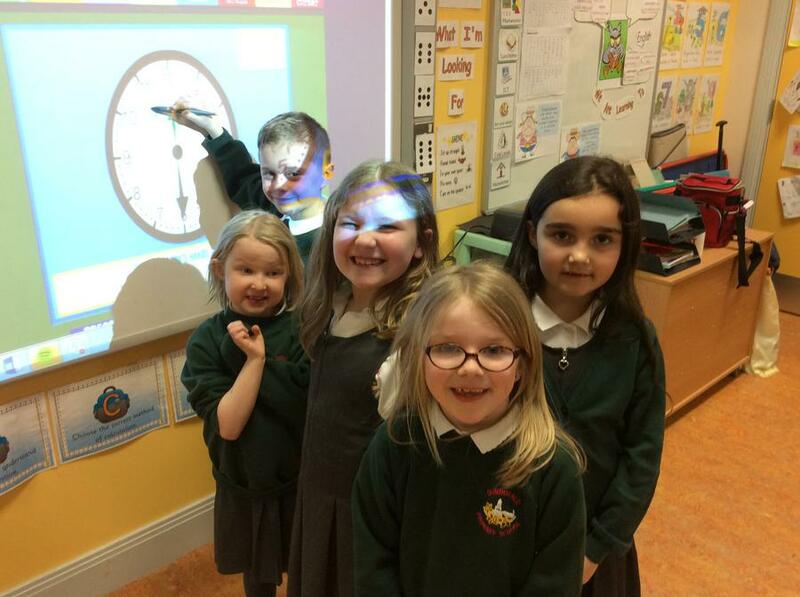 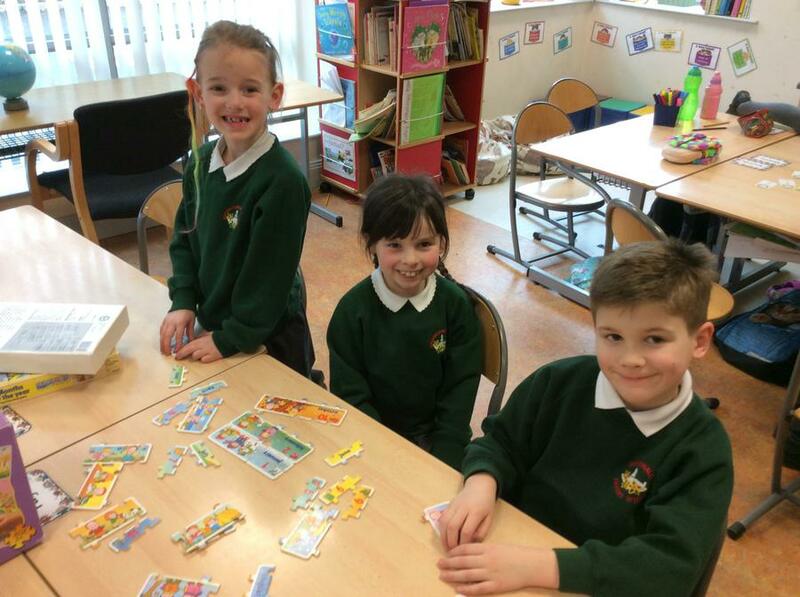 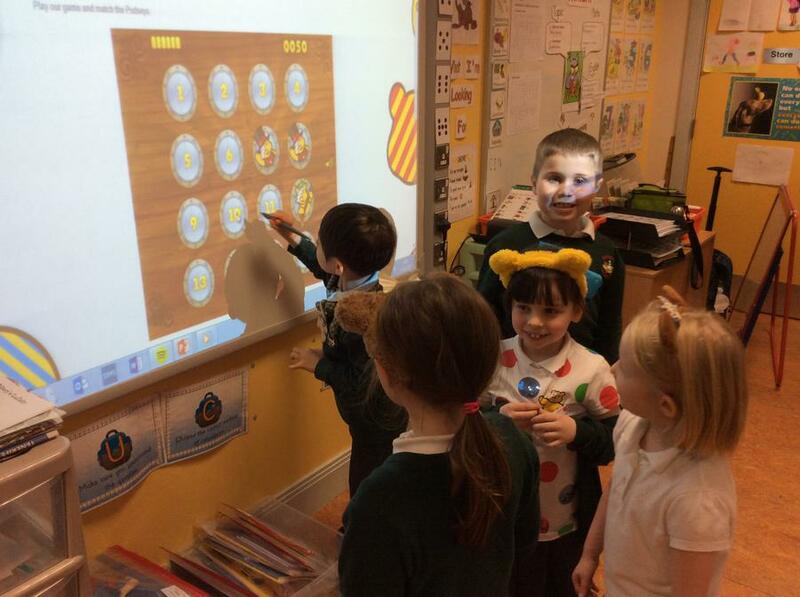 We participated in a Calendar Puzzle, IWB games, solved Time Problems and even used the iPads for Numeracy games! 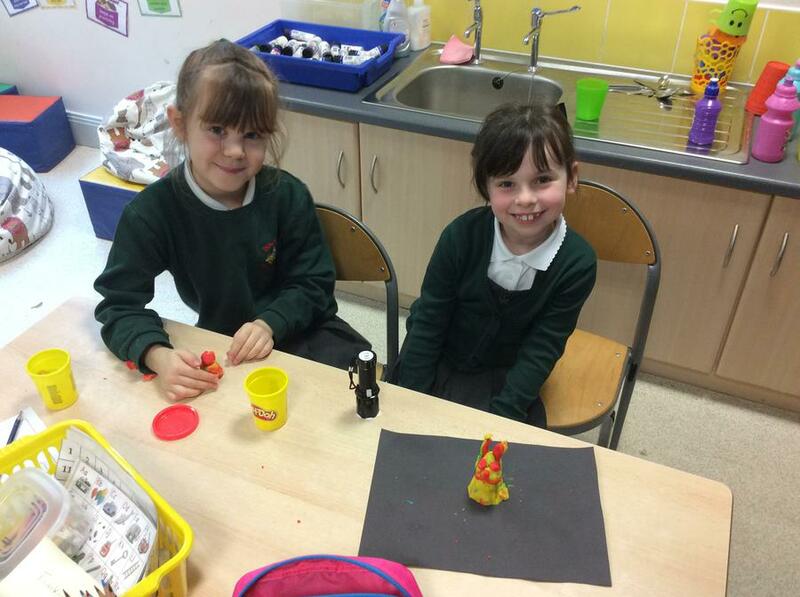 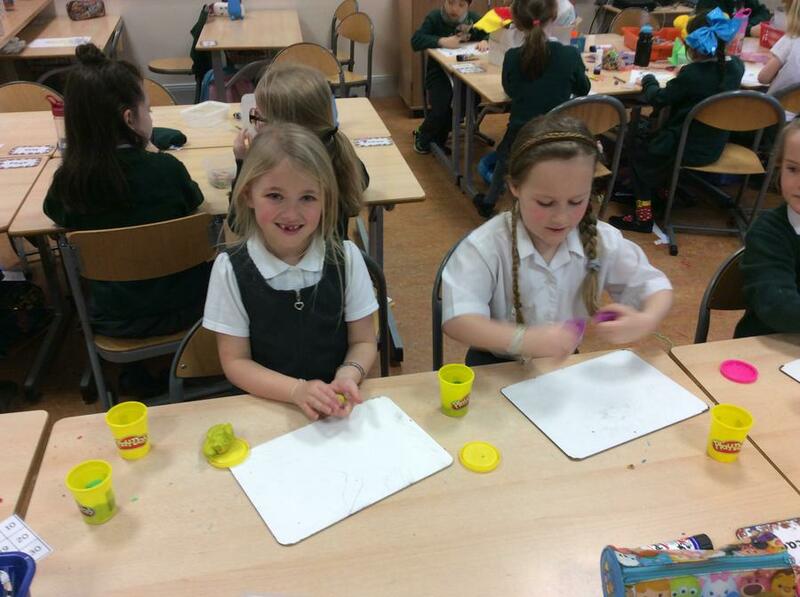 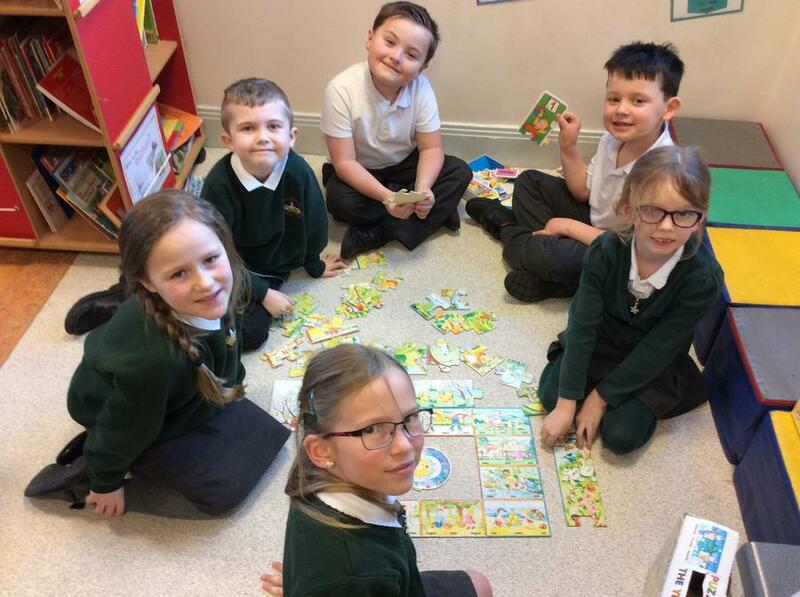 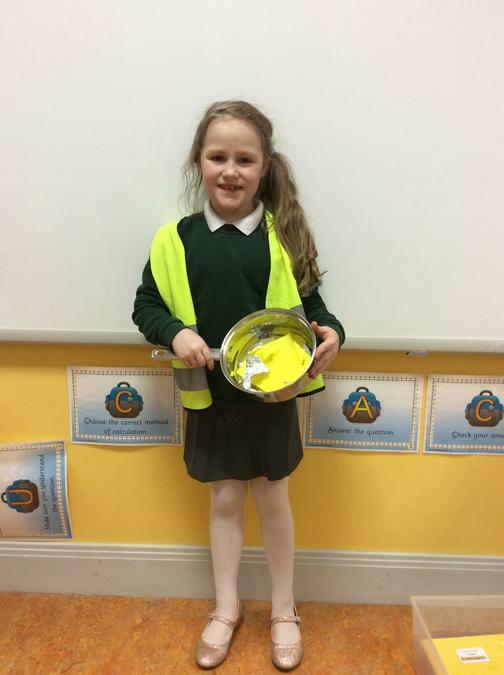 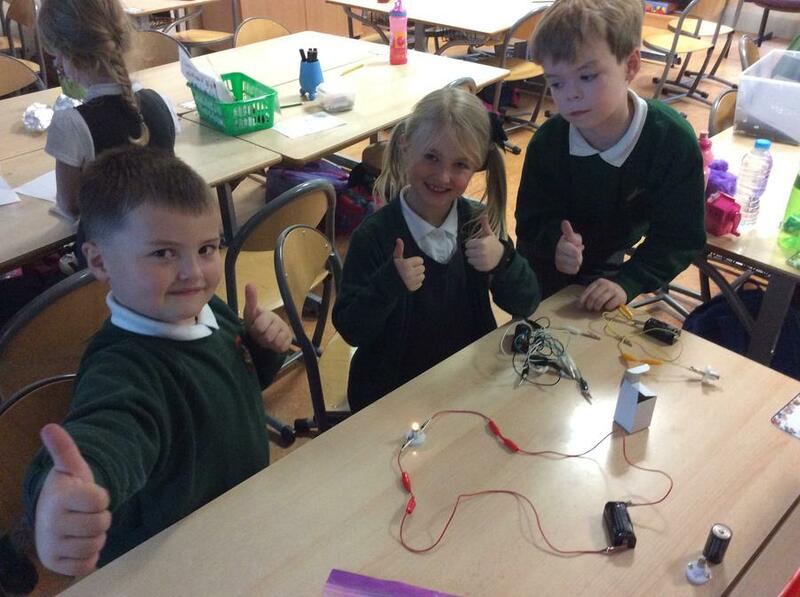 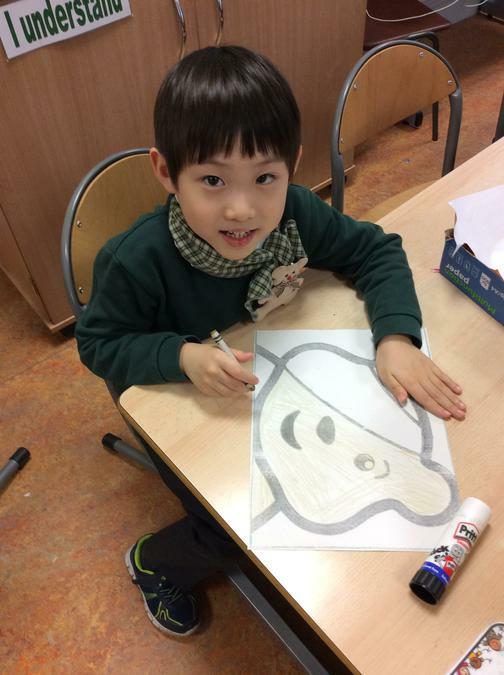 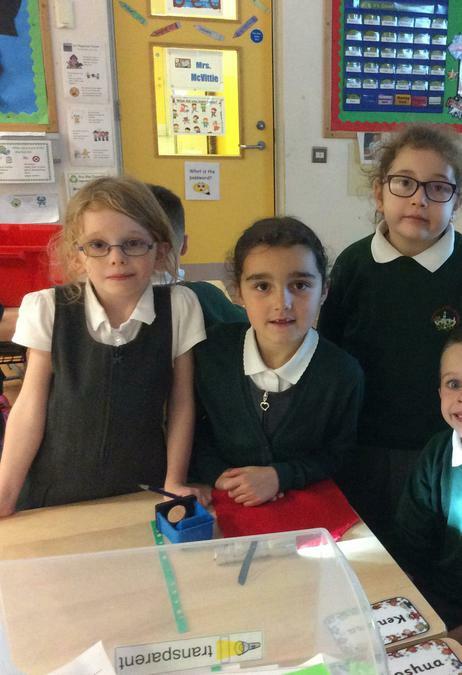 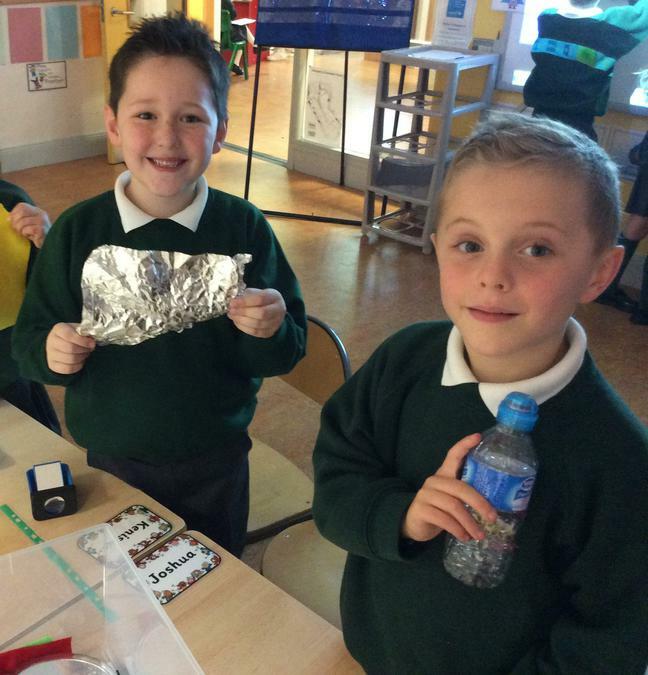 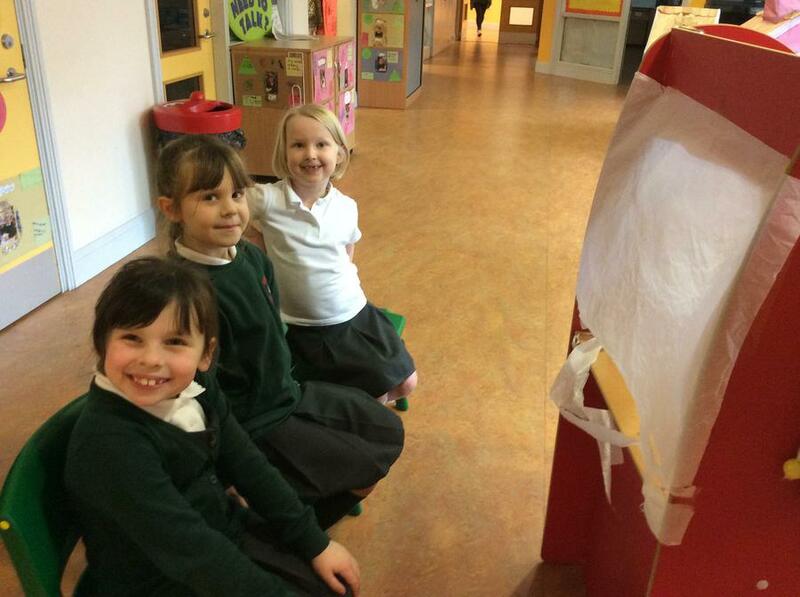 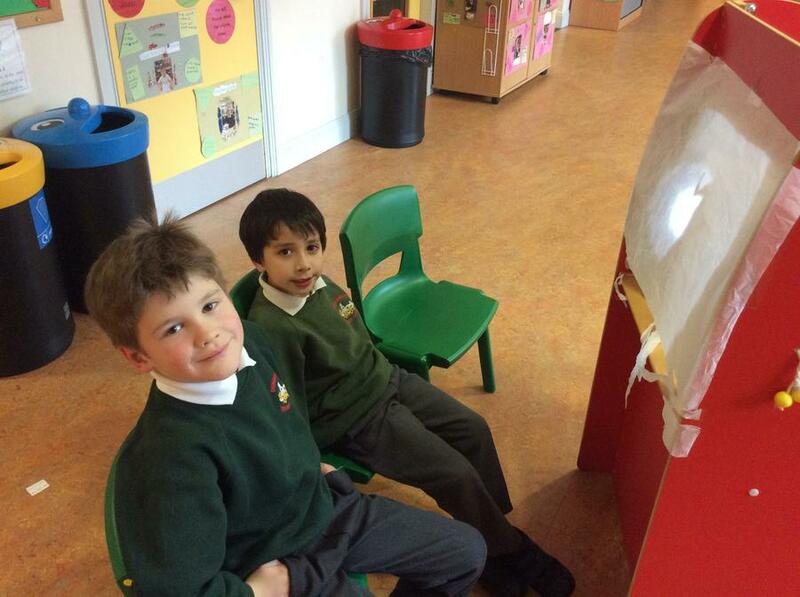 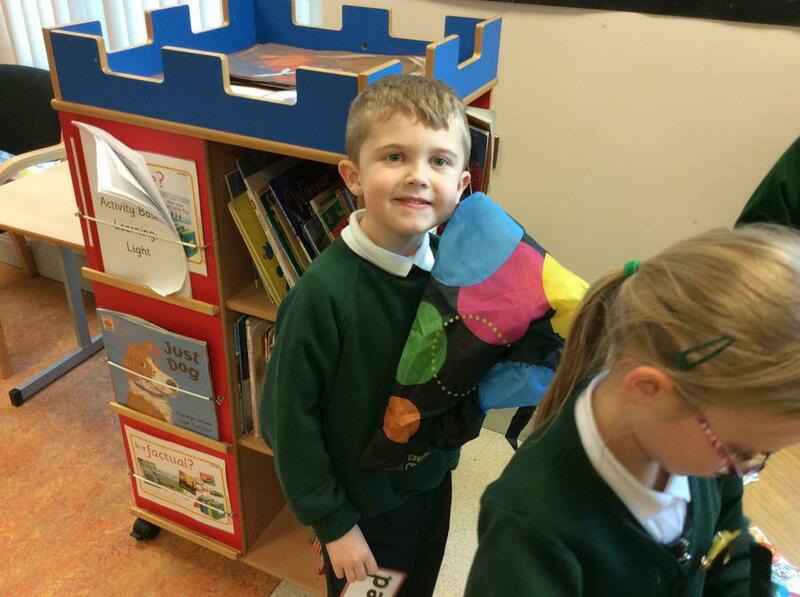 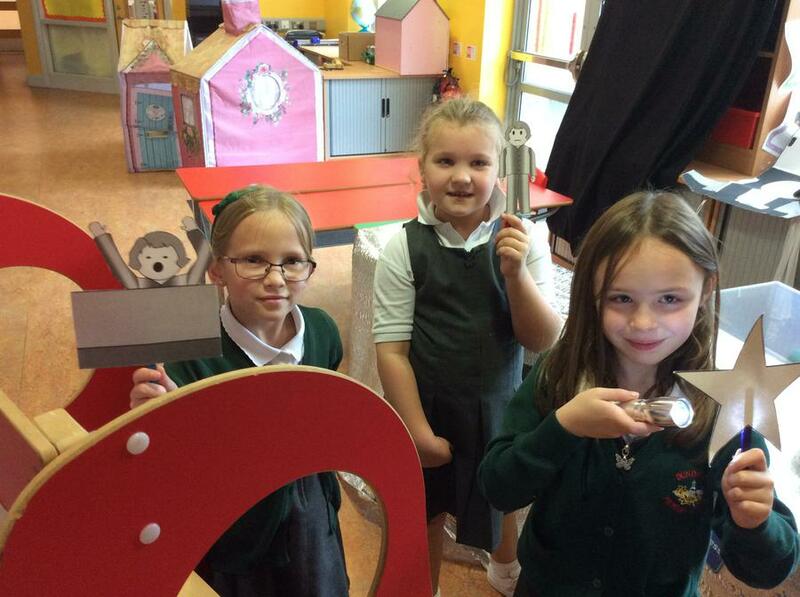 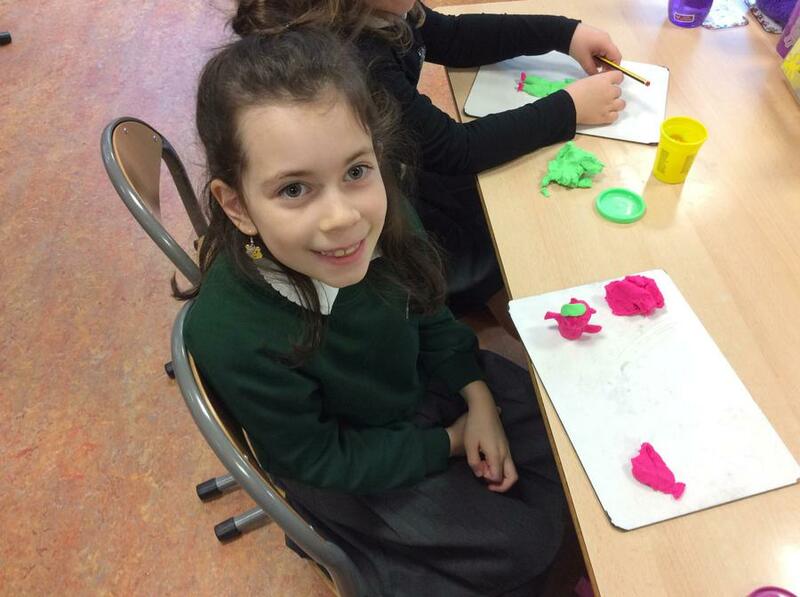 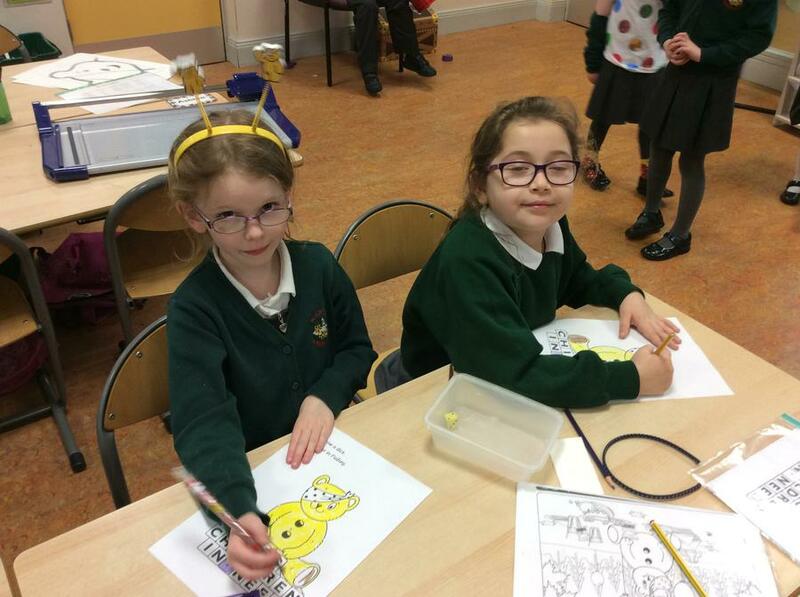 Have a look at our pictures to see all the fun we had! 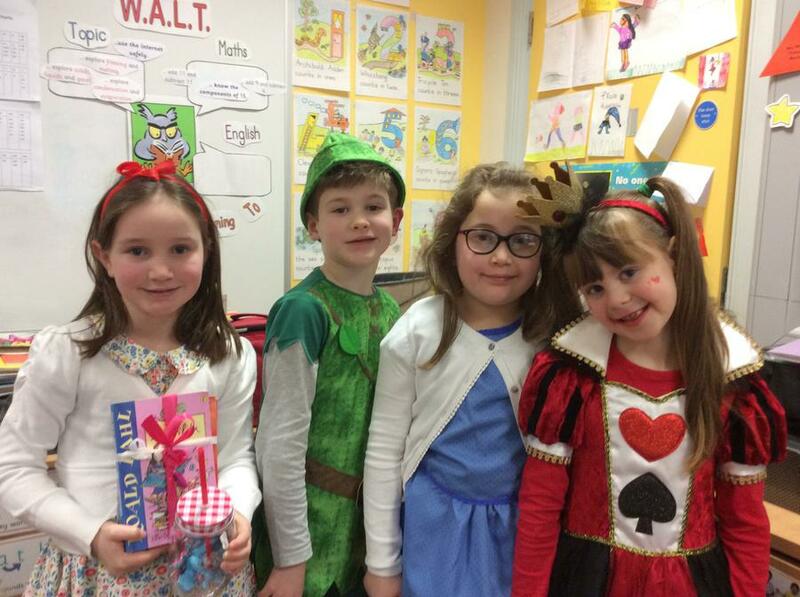 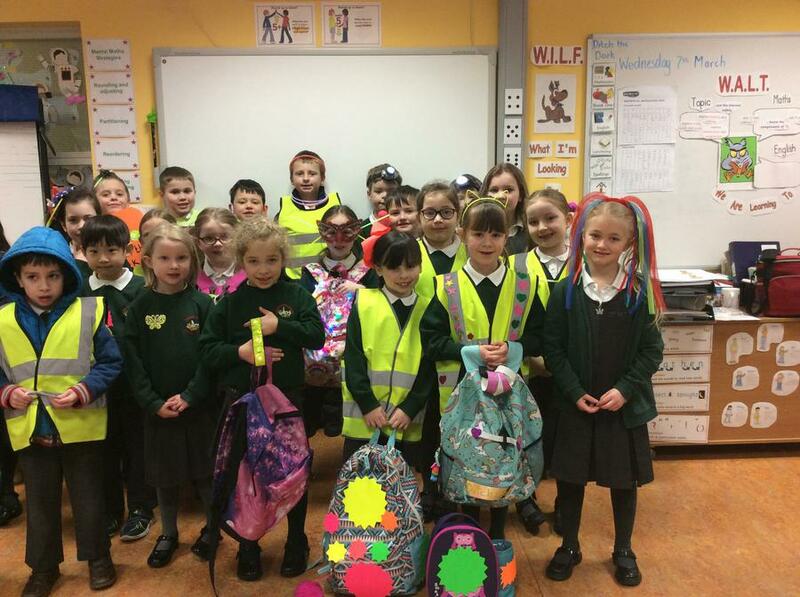 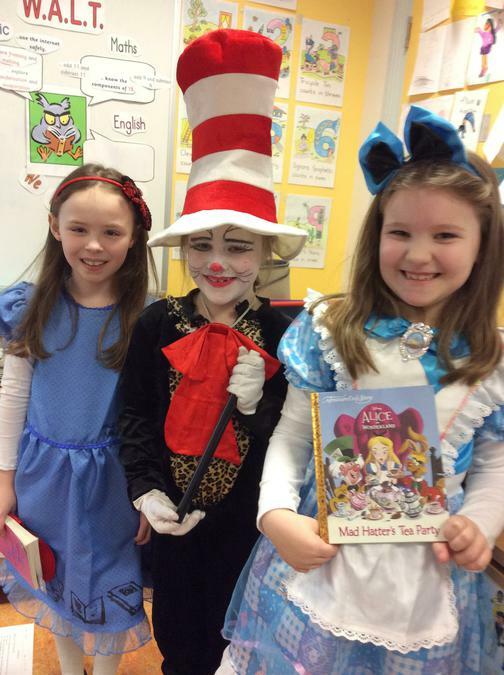 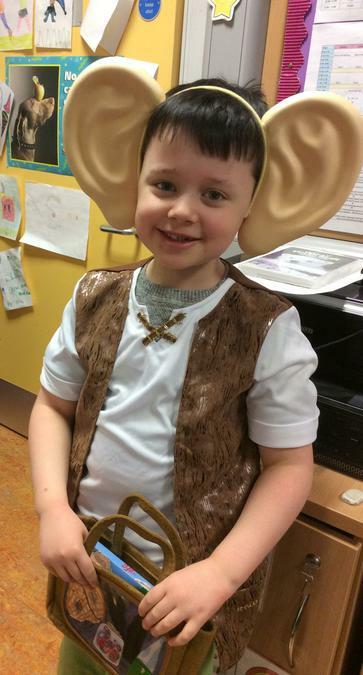 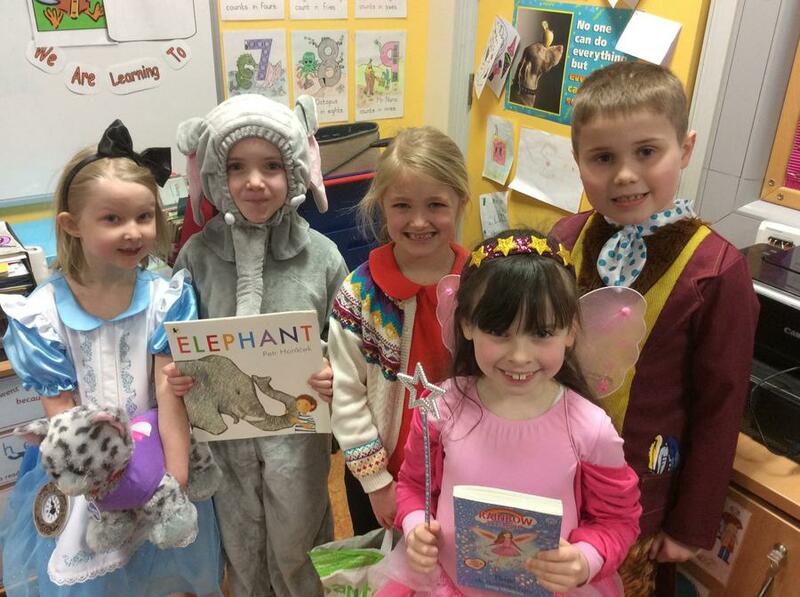 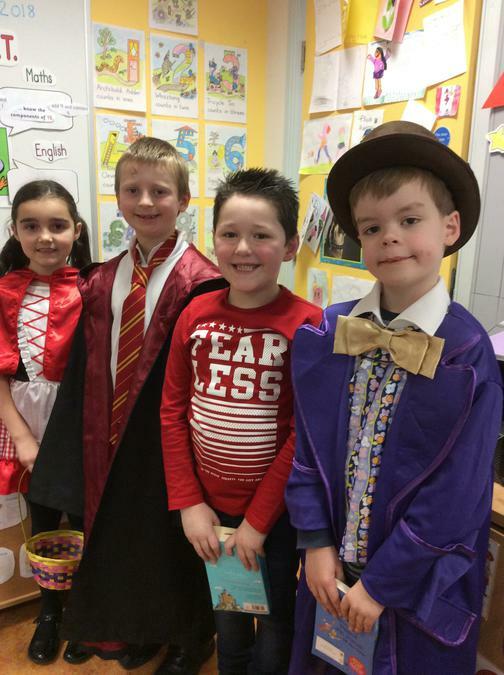 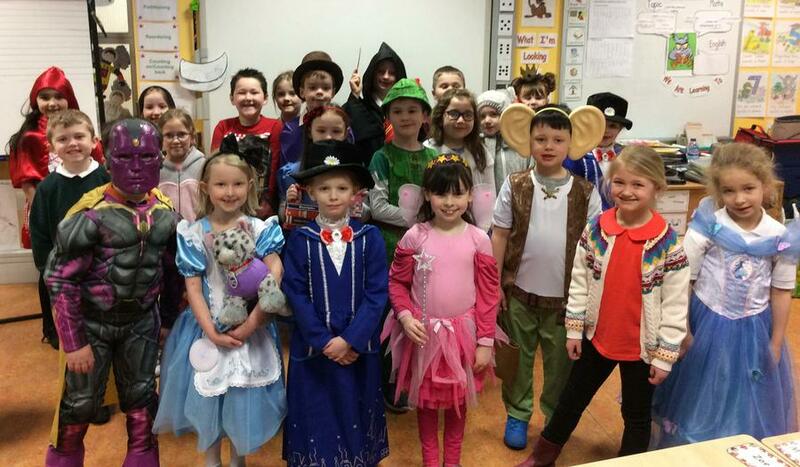 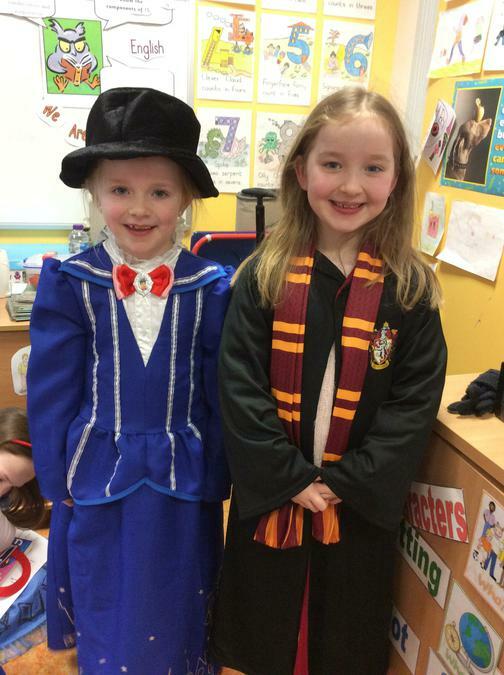 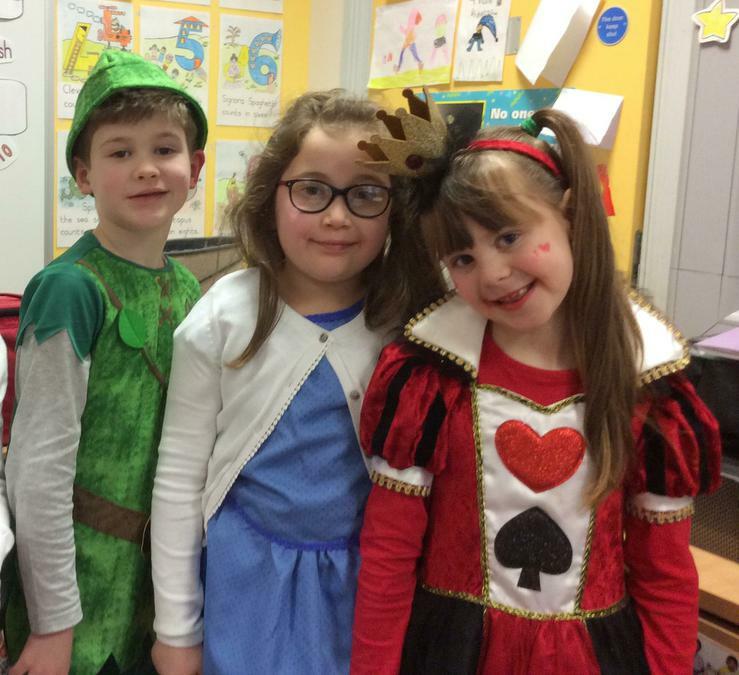 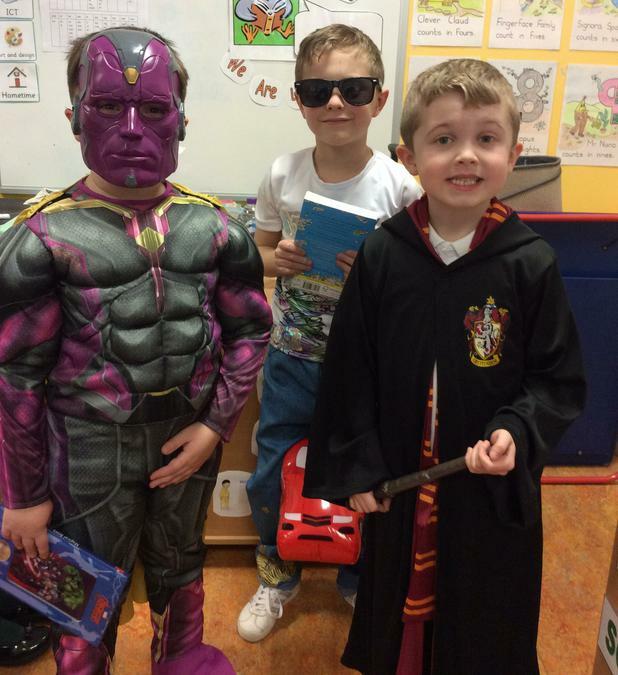 P3DM enjoying World Book Day 2018! 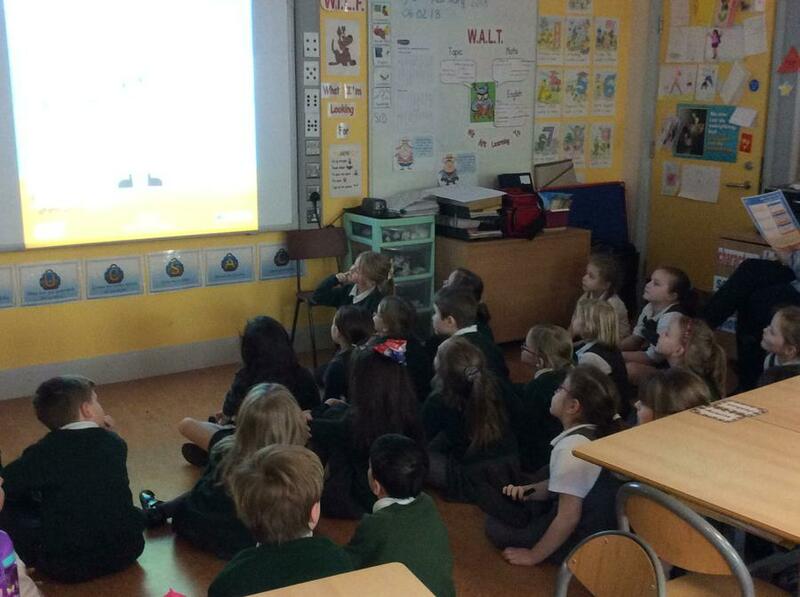 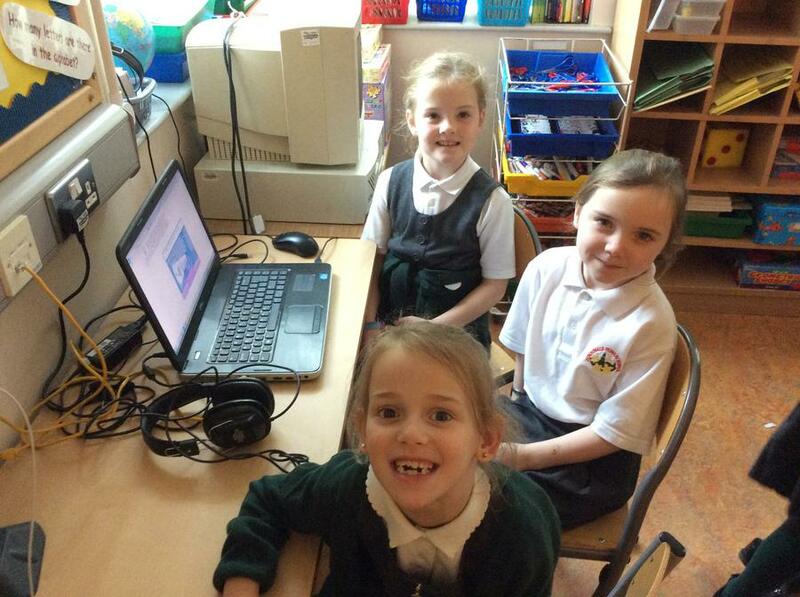 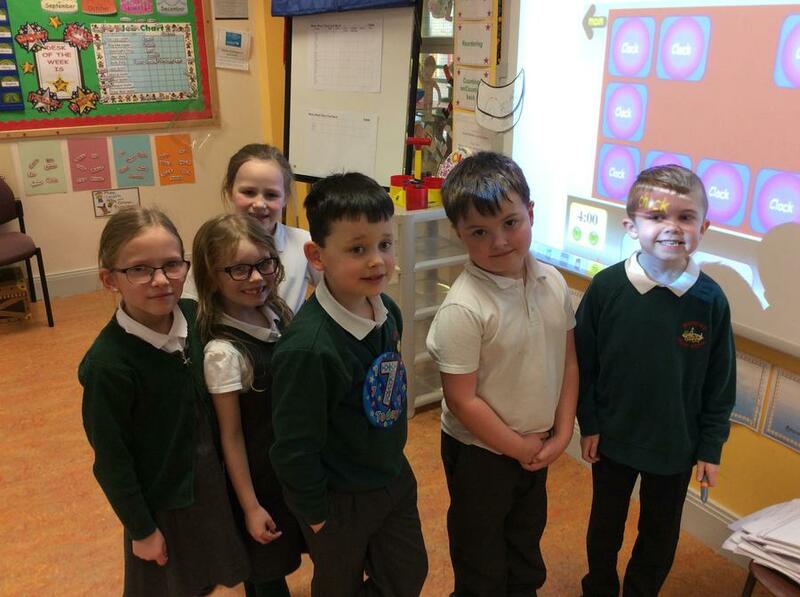 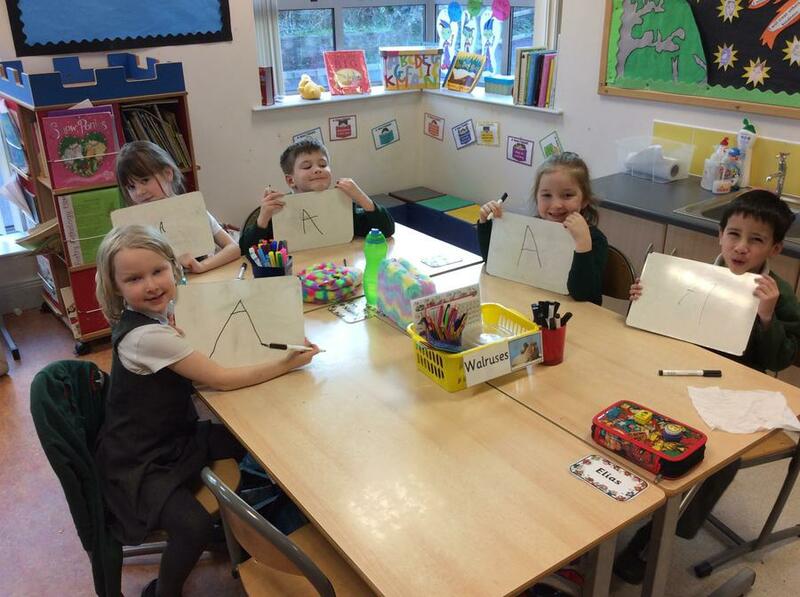 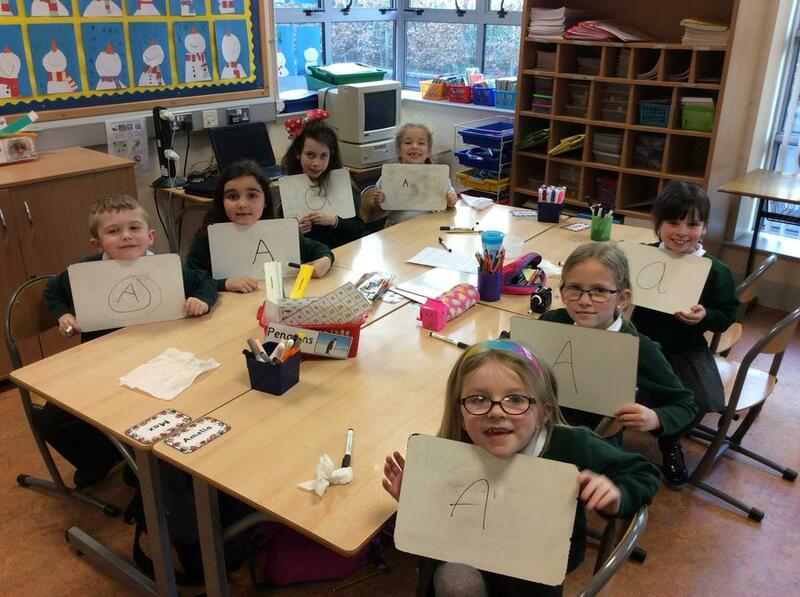 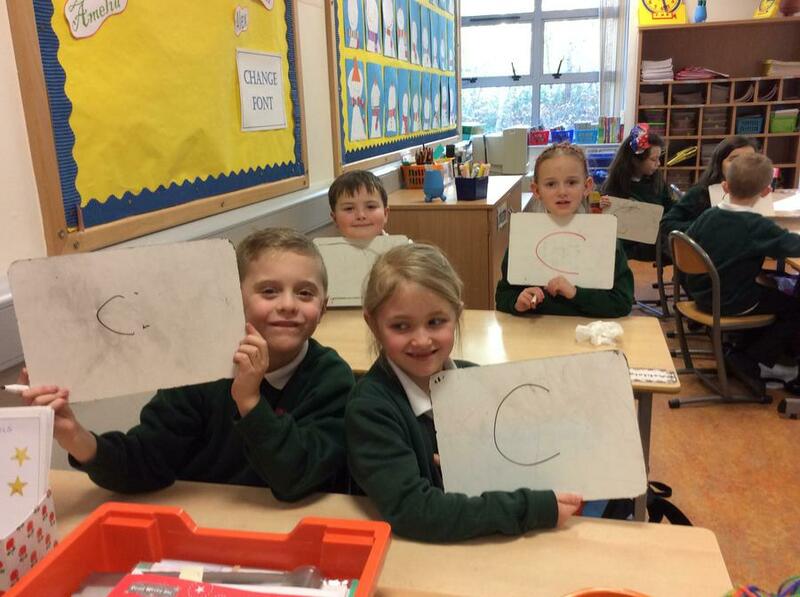 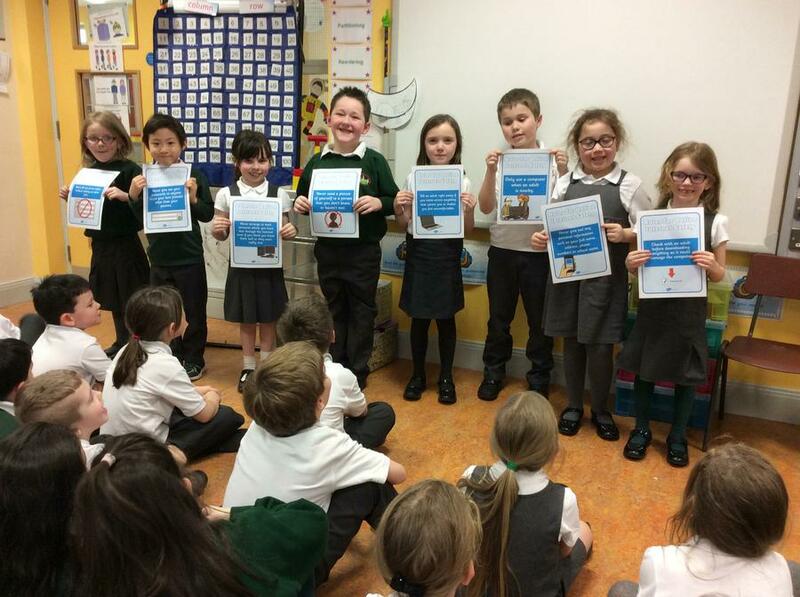 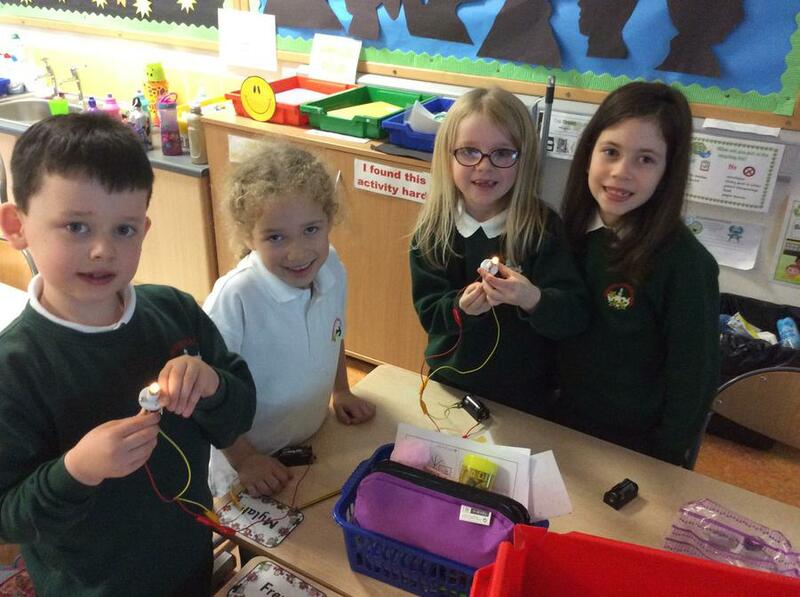 P3DM had lots of fun learning how to use the internet safely during 'Safer Internet Day 2018'. 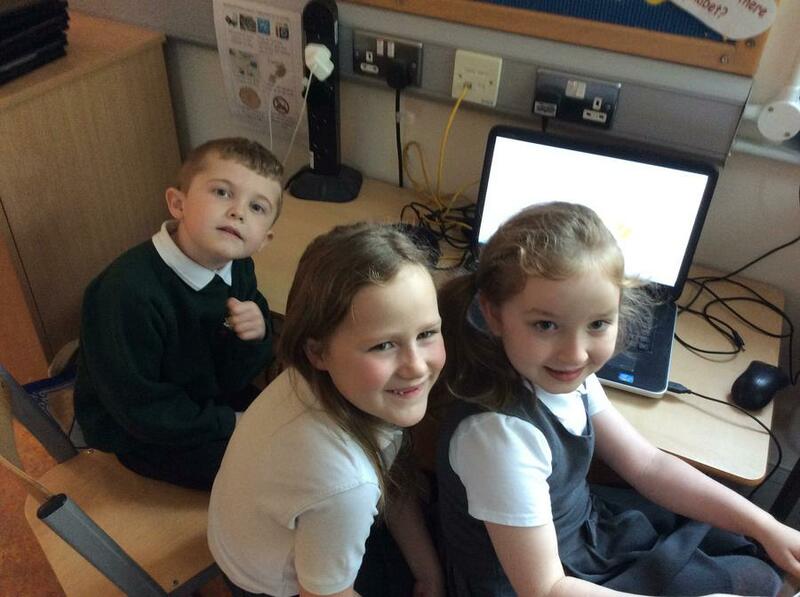 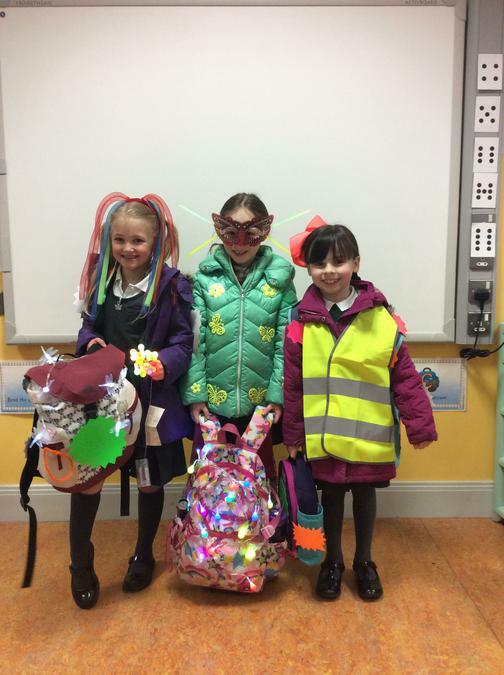 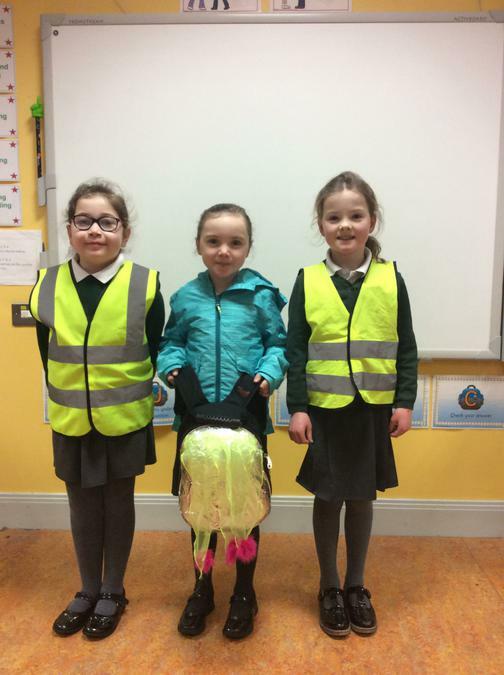 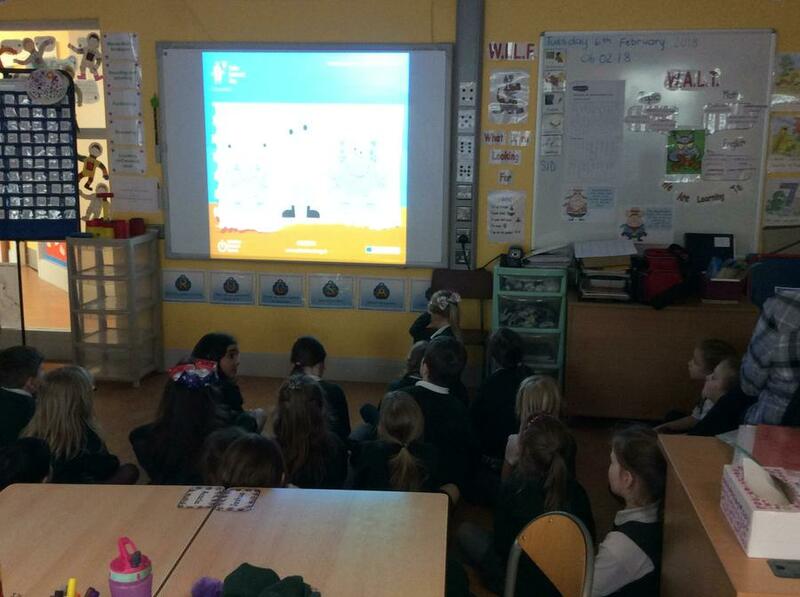 Puff, Ness and Fizz taught us how to be safe online. 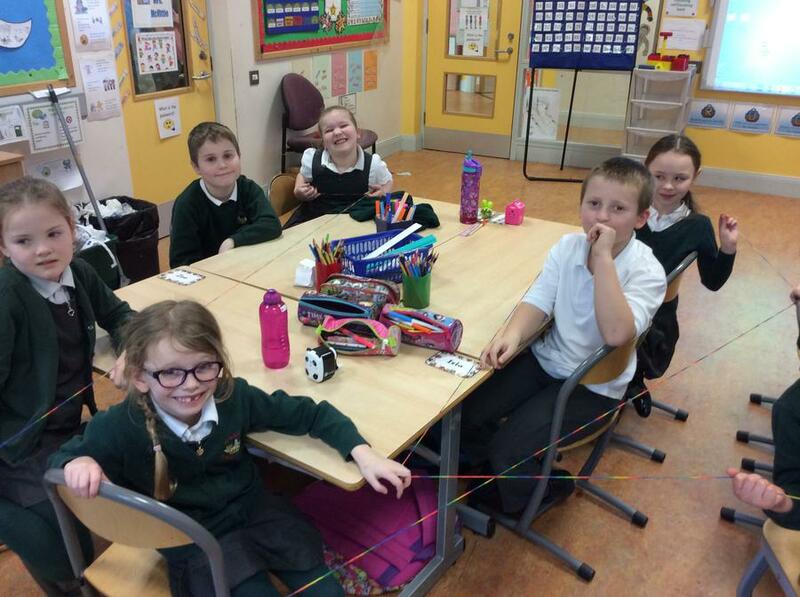 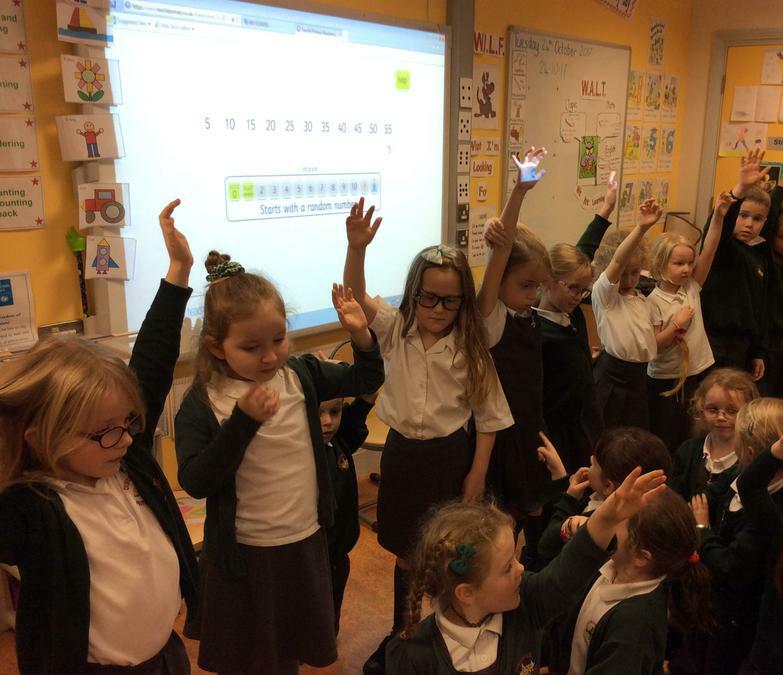 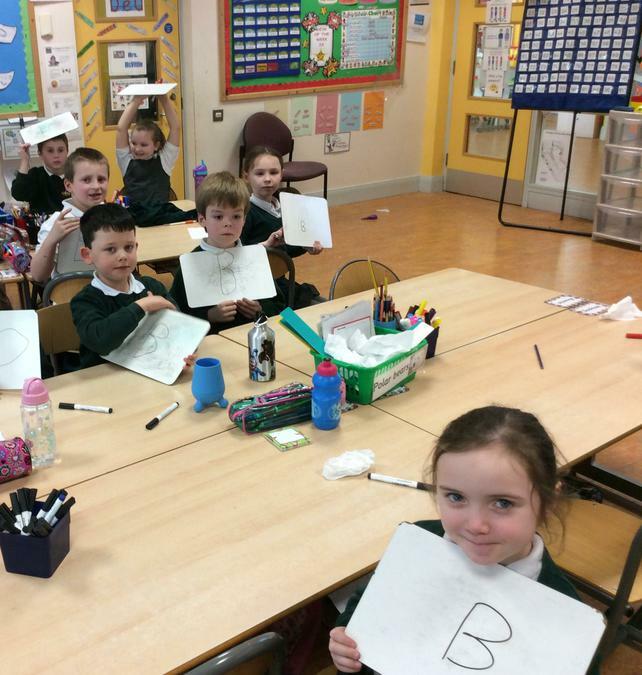 We also enjoyed answering questions to a quiz and Mrs McVittie taught us how the internet connects us like wool. 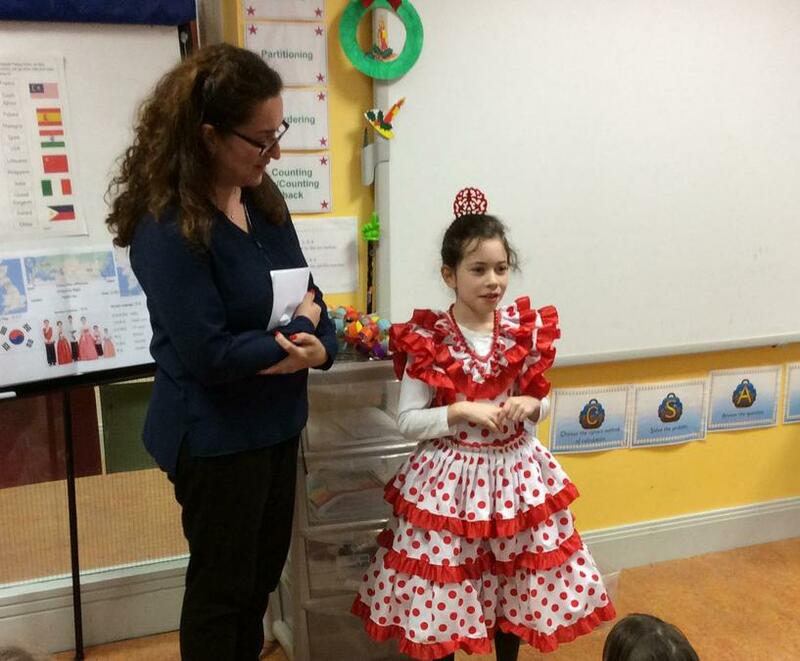 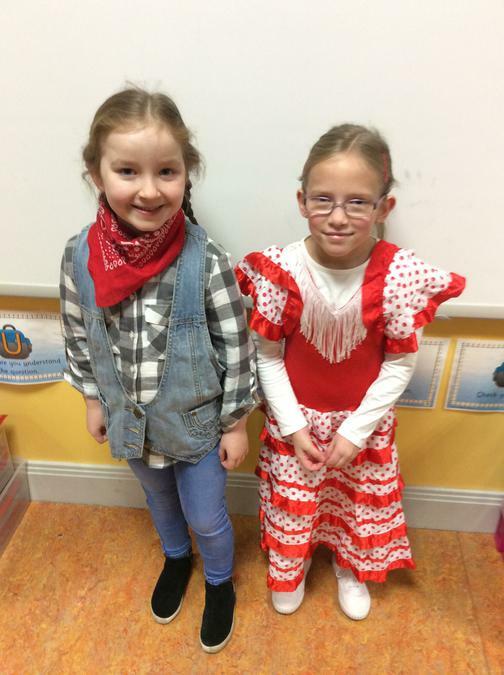 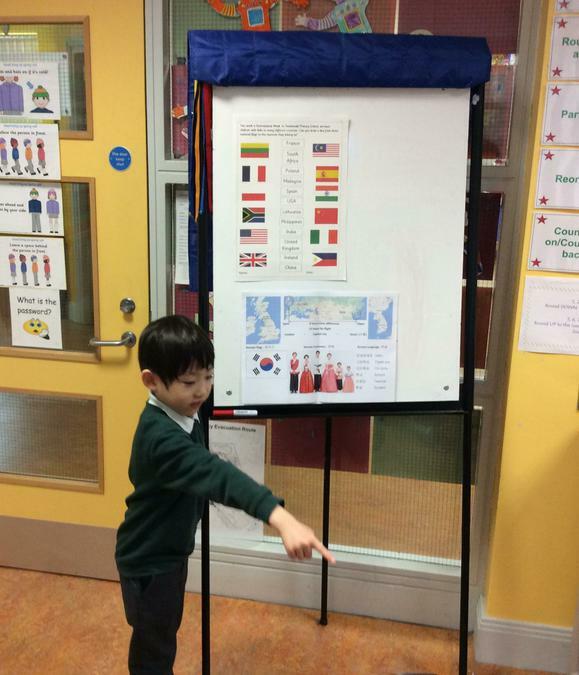 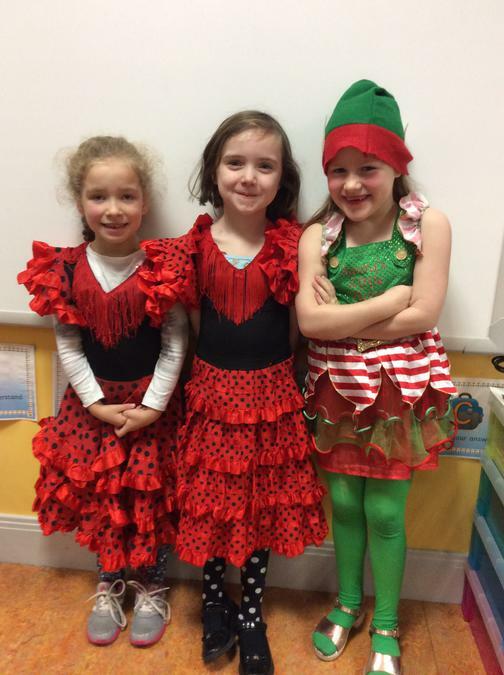 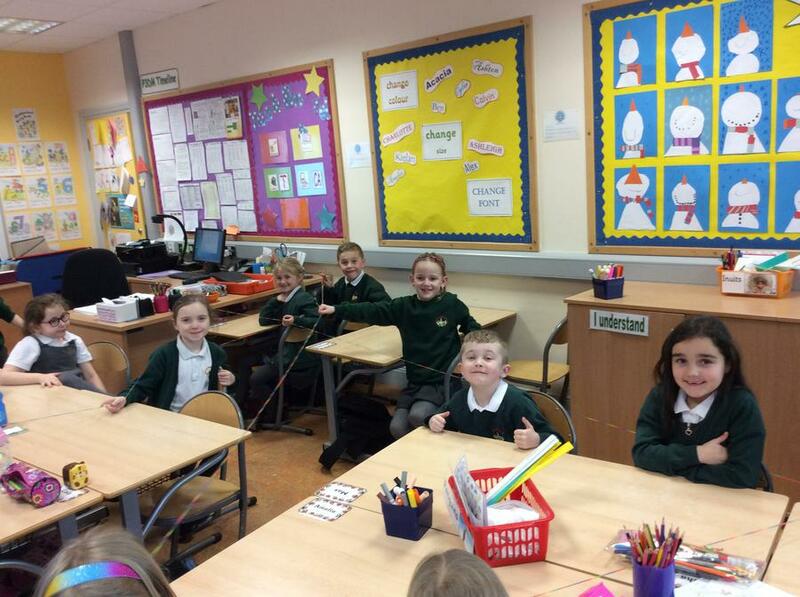 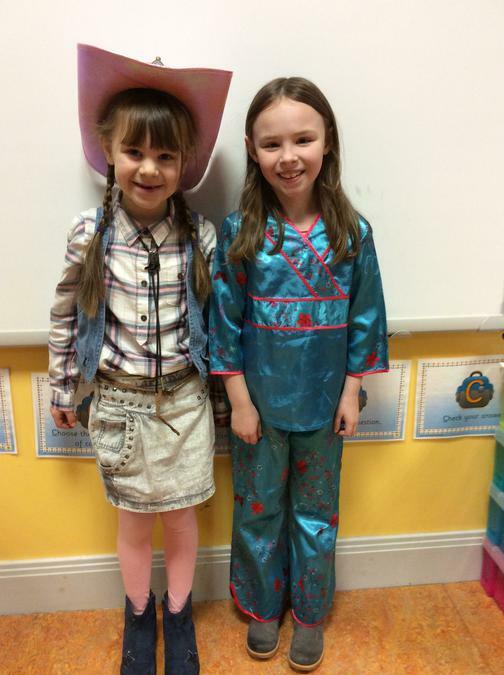 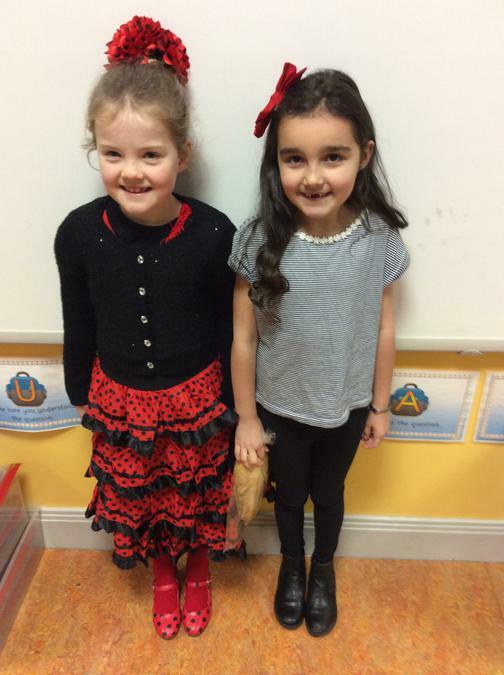 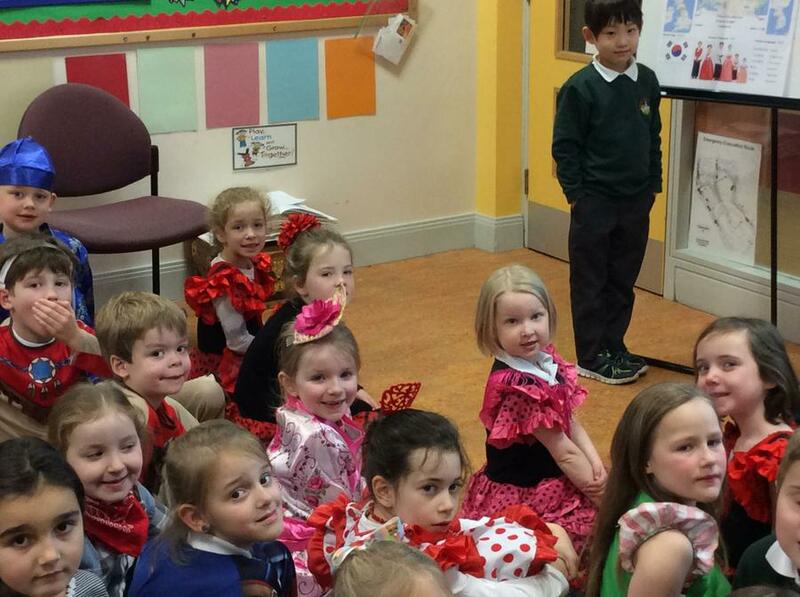 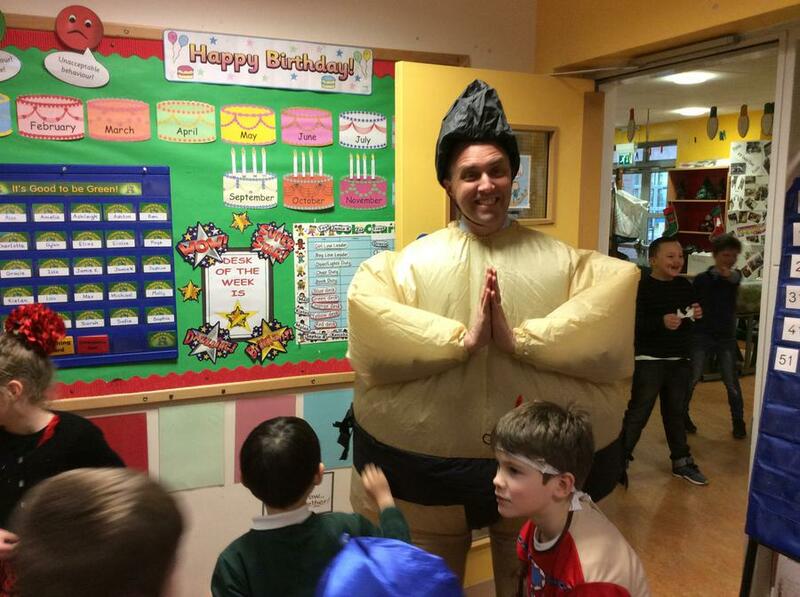 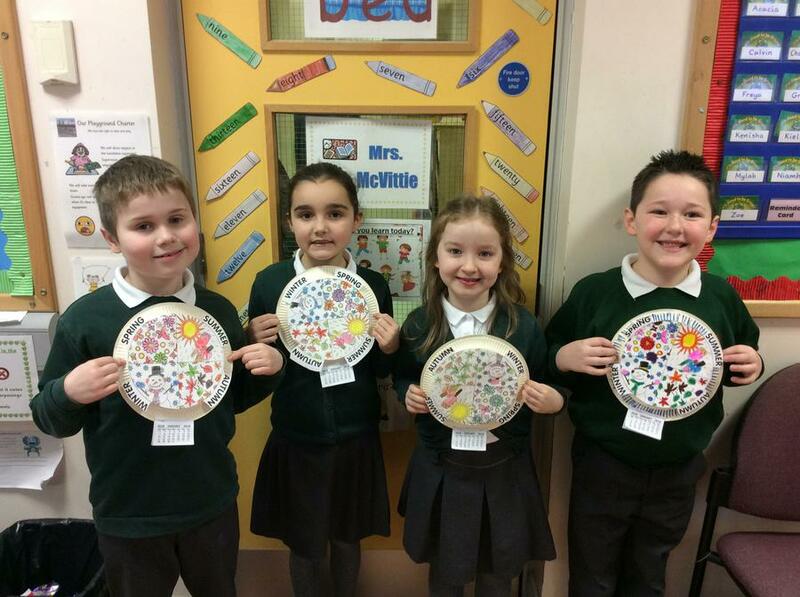 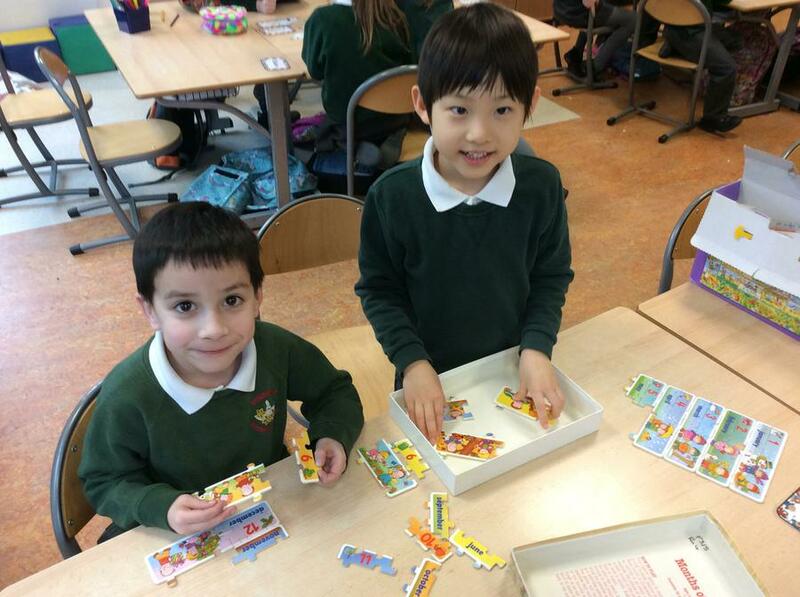 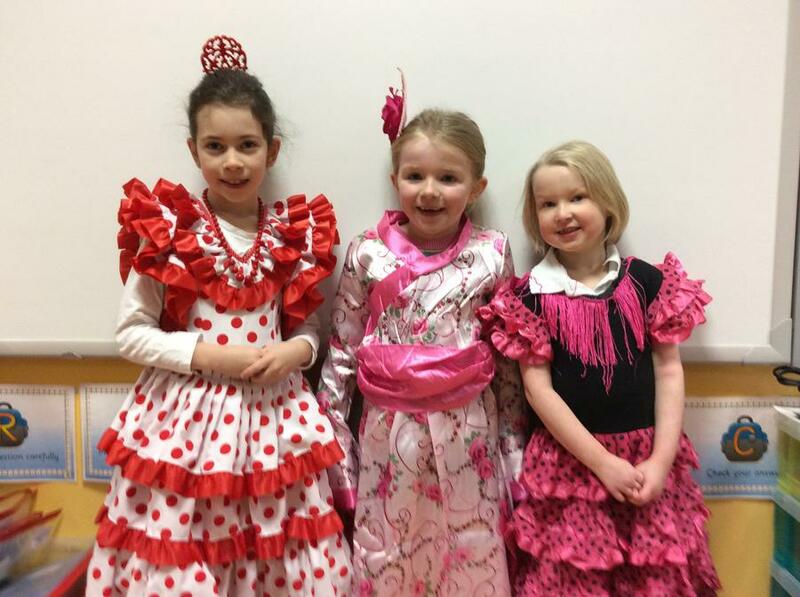 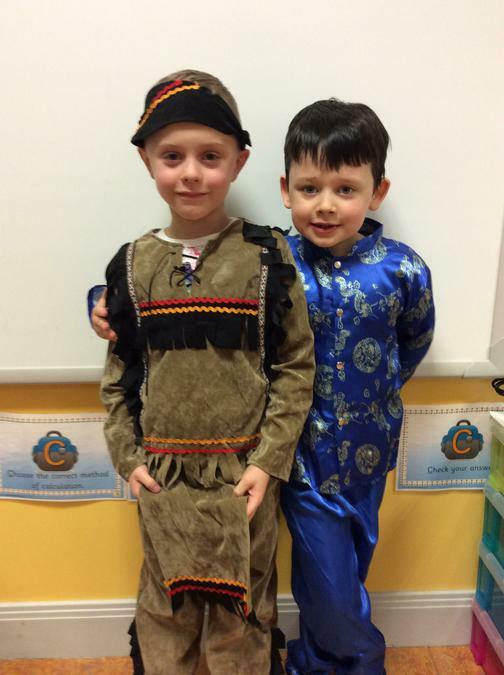 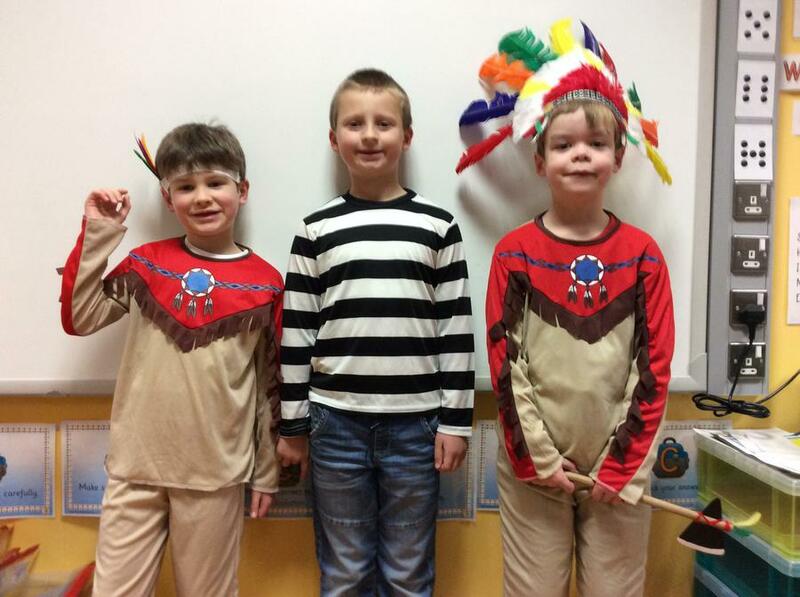 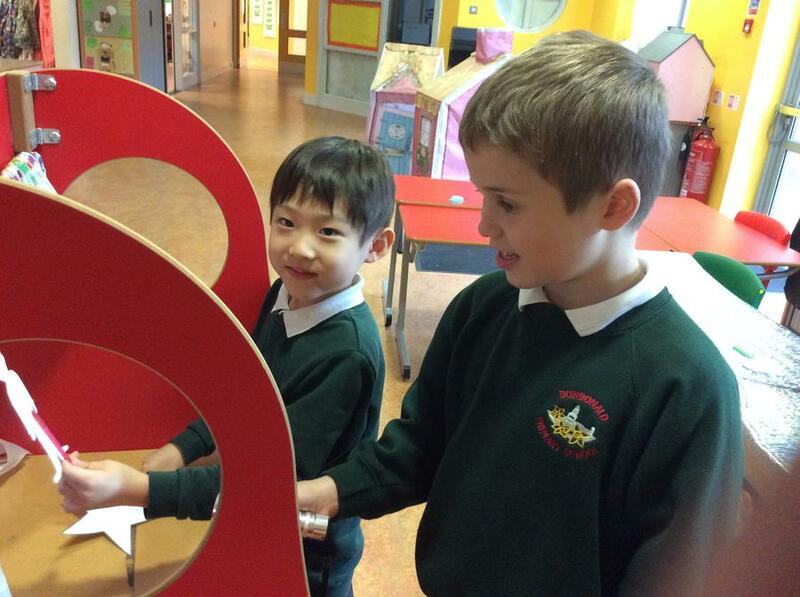 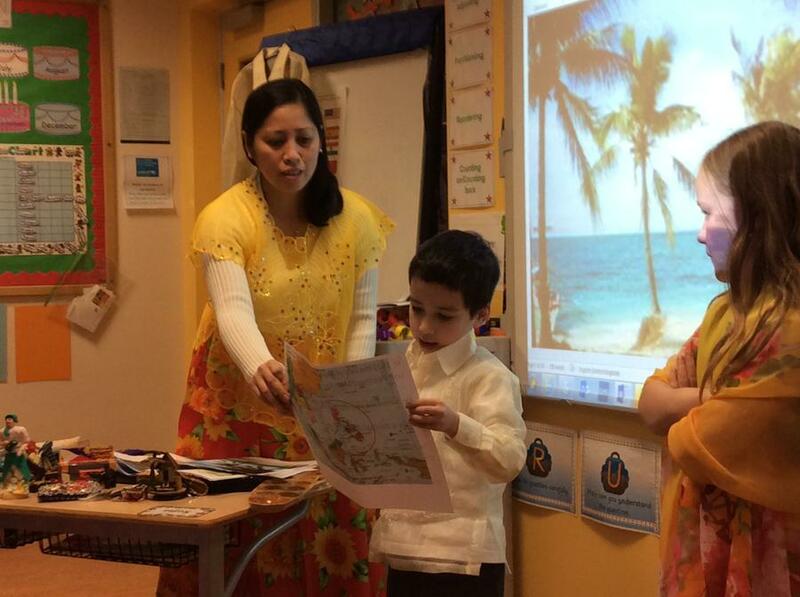 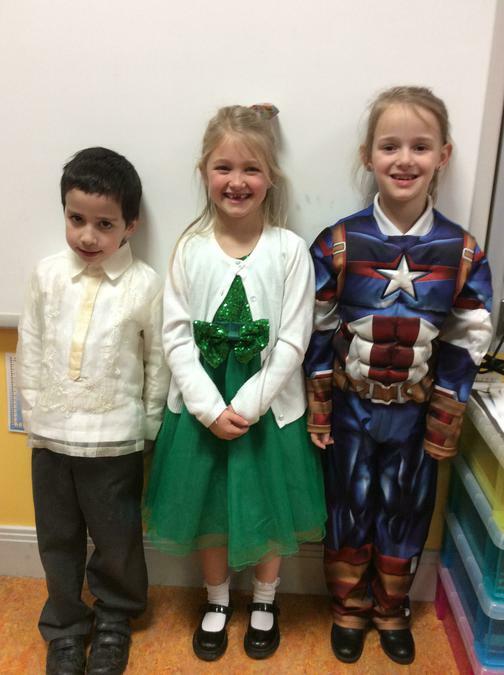 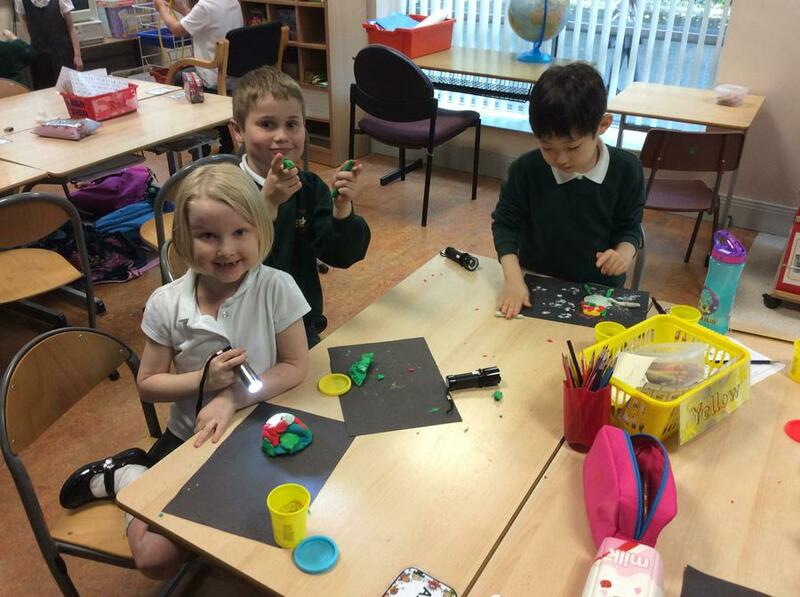 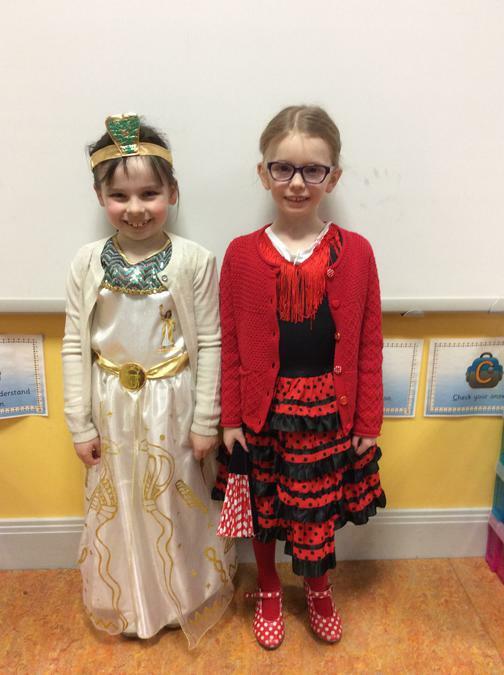 In P3DM we loved celebrating International day. 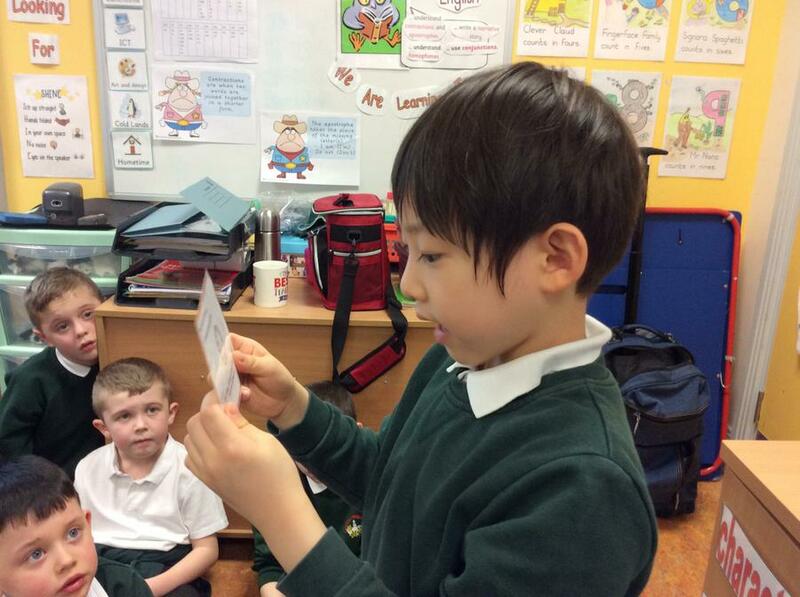 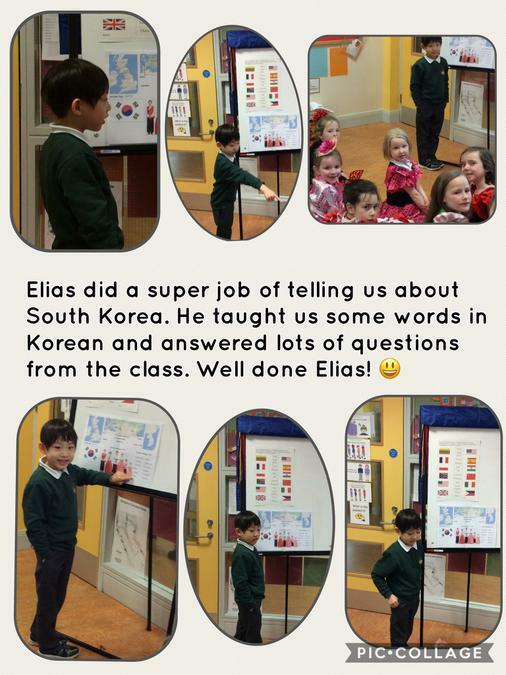 We had some very special visitors from Spain and the Philippines and we even had a talk all about South Korea! 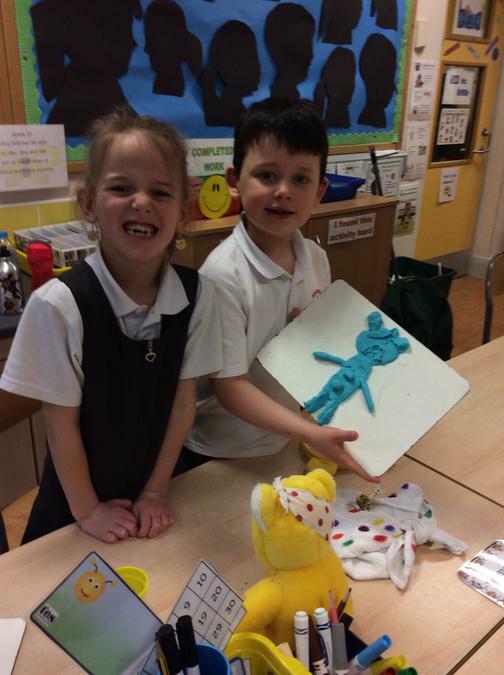 We learned lots and had fun too! 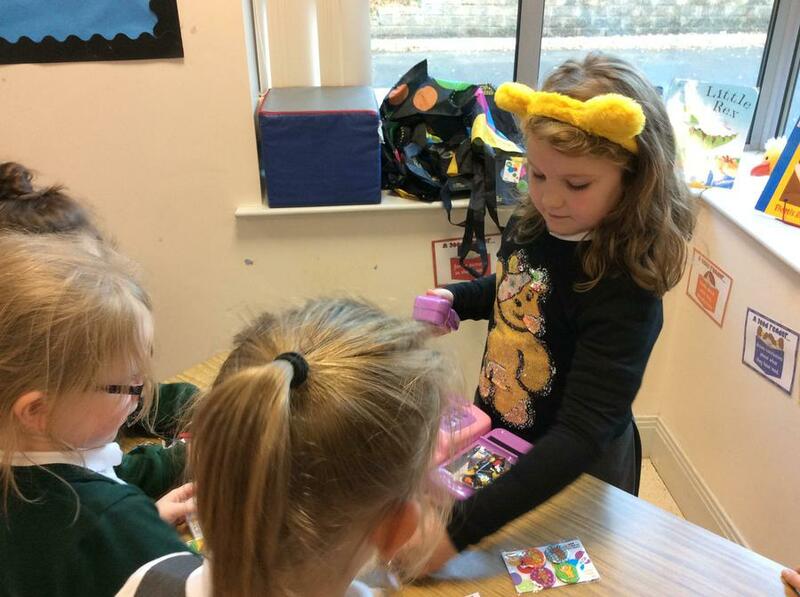 Children In Need Day Fun! 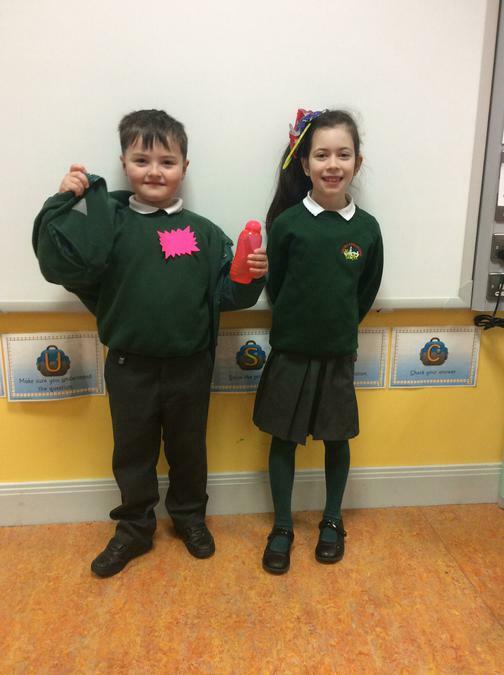 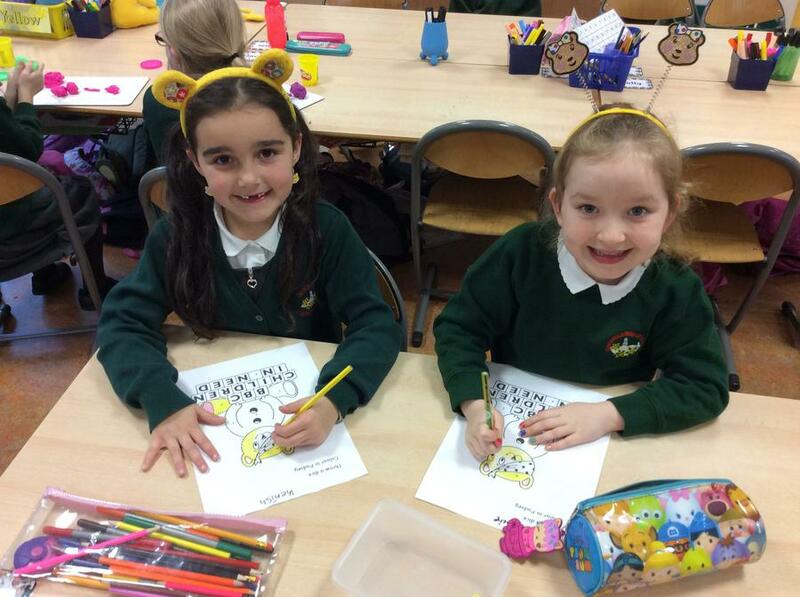 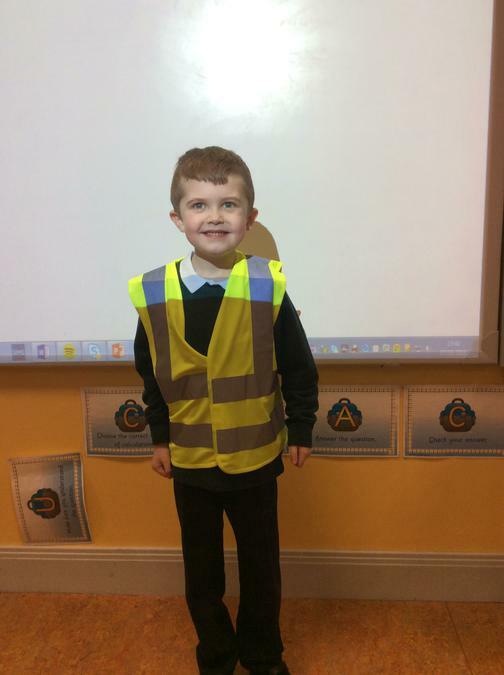 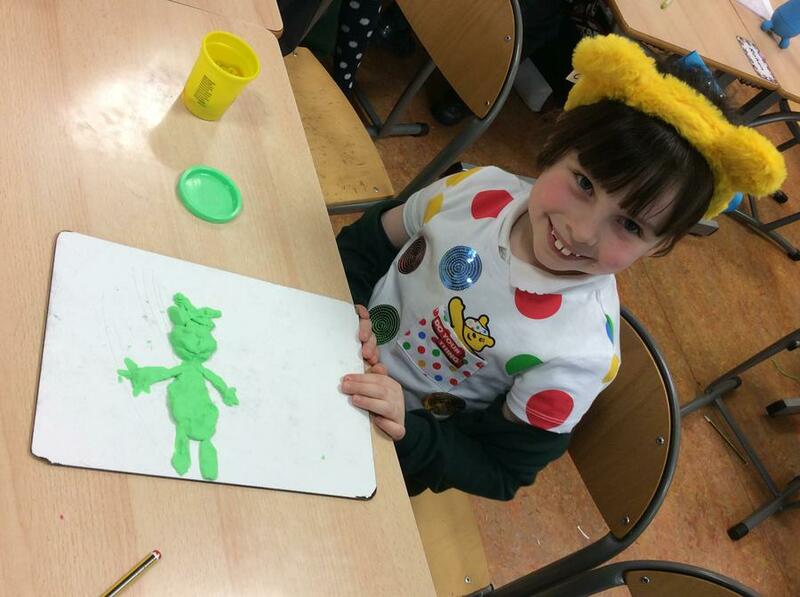 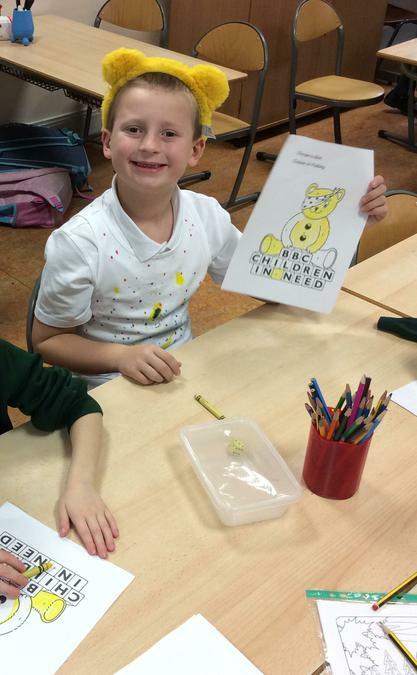 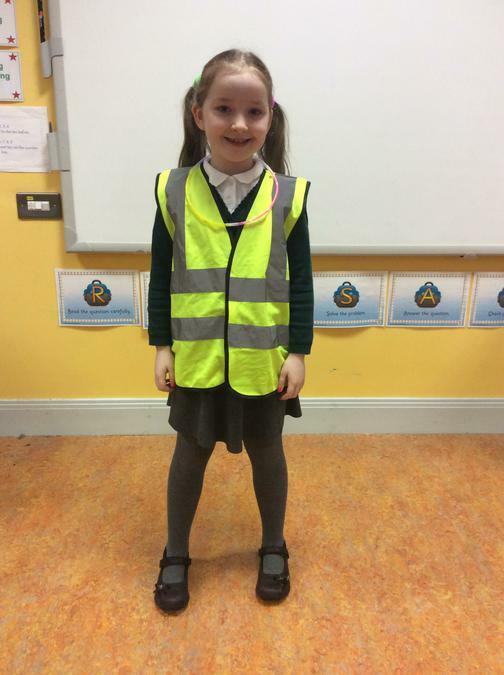 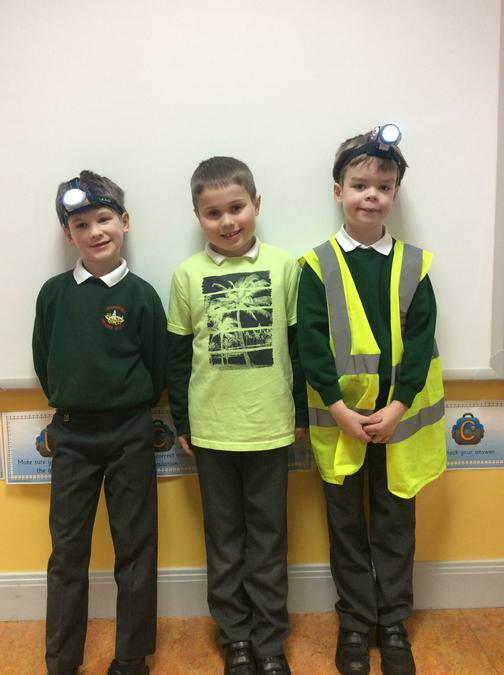 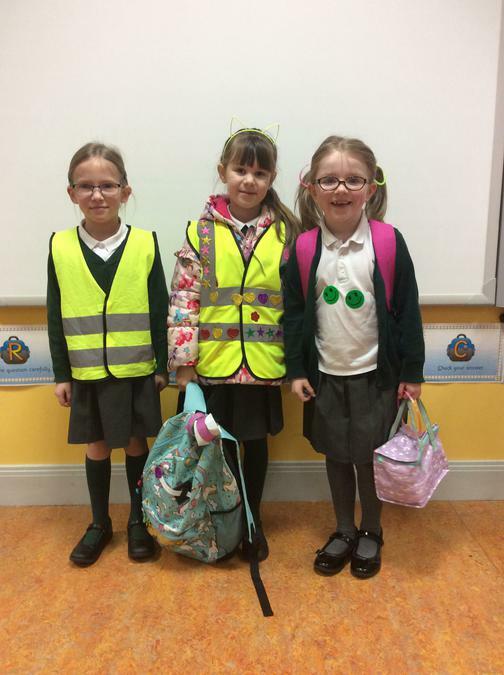 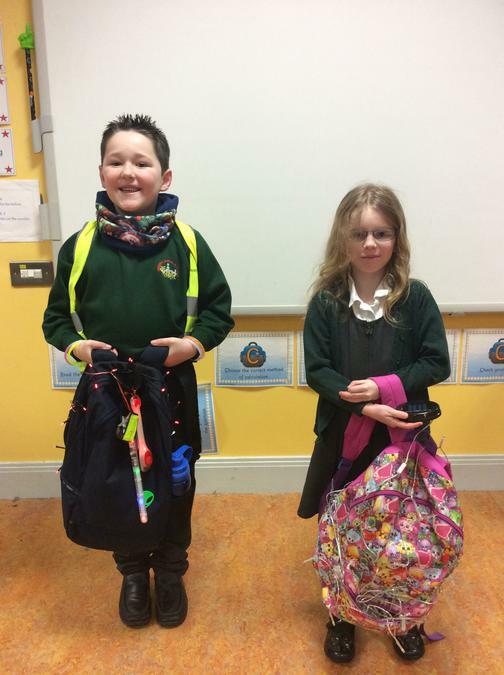 We had lots of fun during our Children in need day at school. 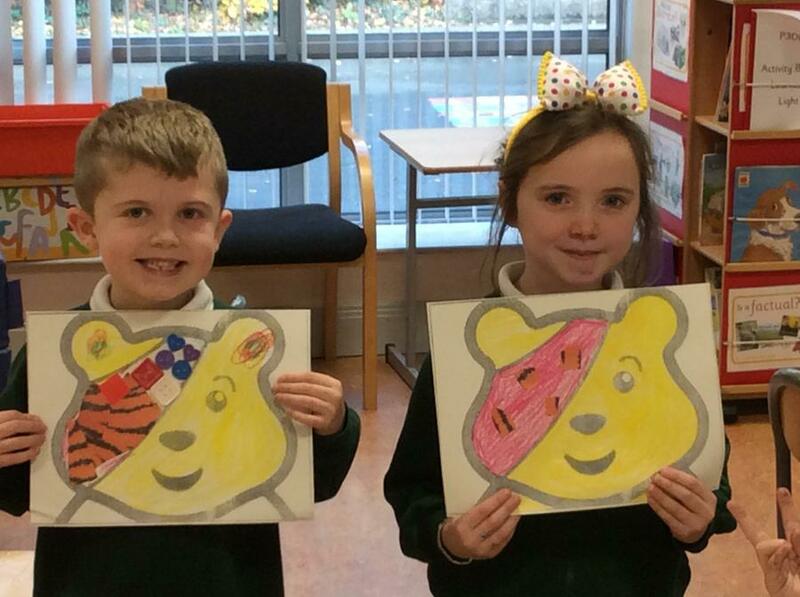 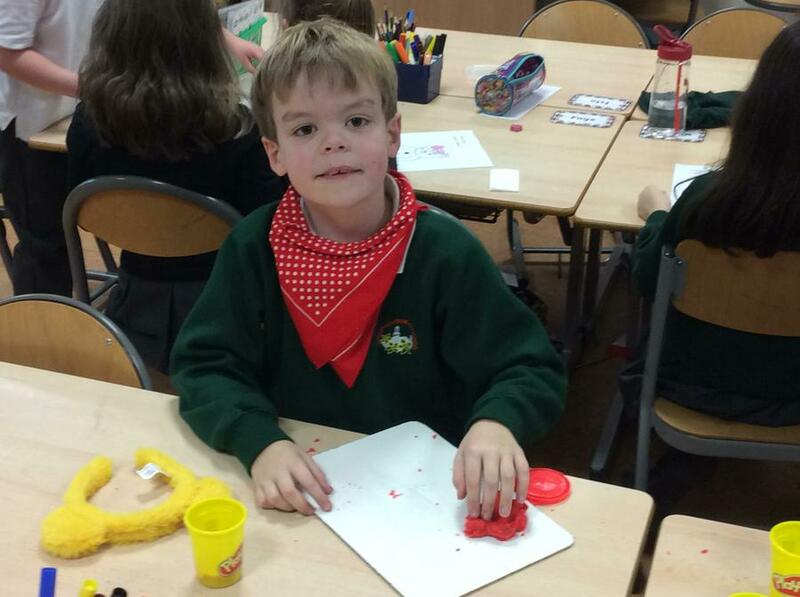 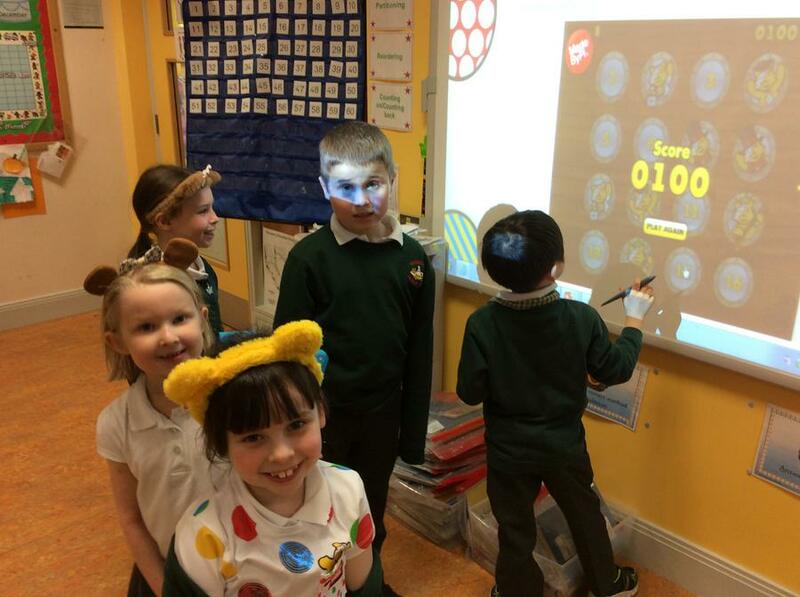 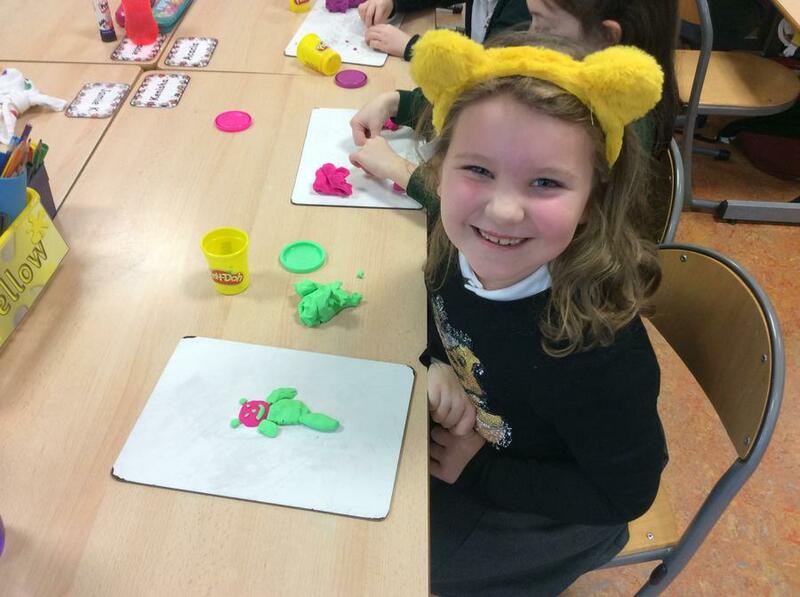 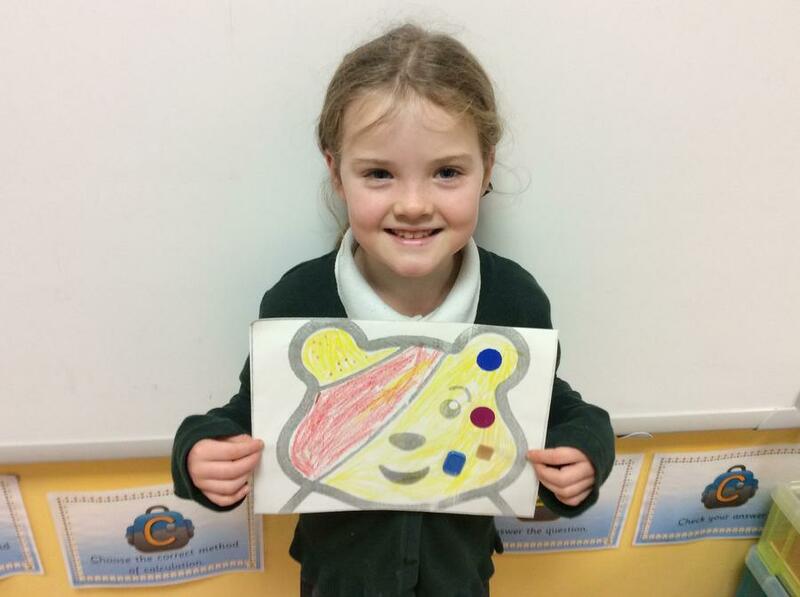 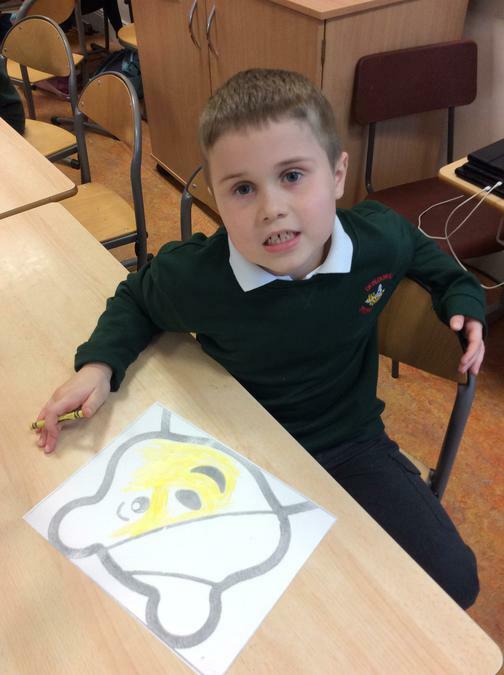 We created new bandana designs for Pudsey, played games on the interactive whiteboard, created our own Pudsey's using playdough and even sold items in the P3DM shop! 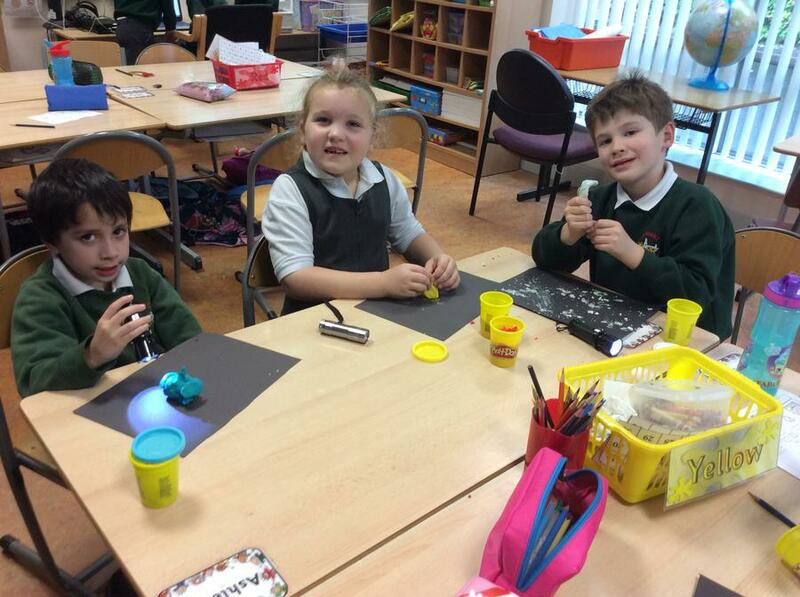 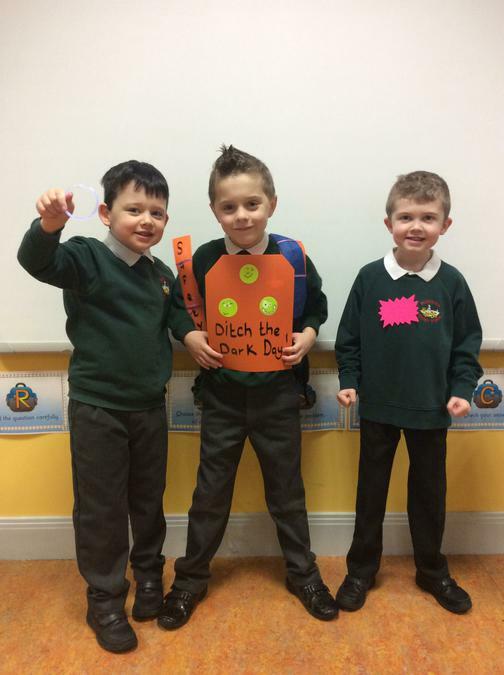 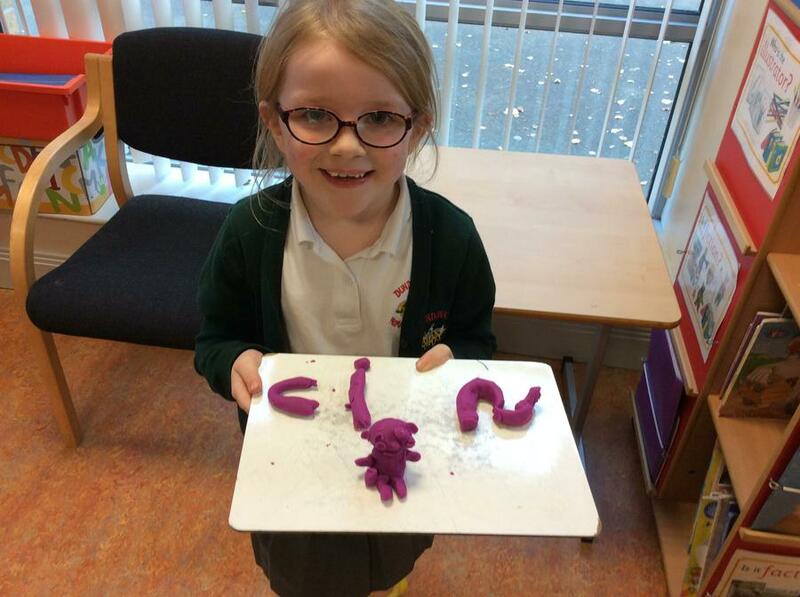 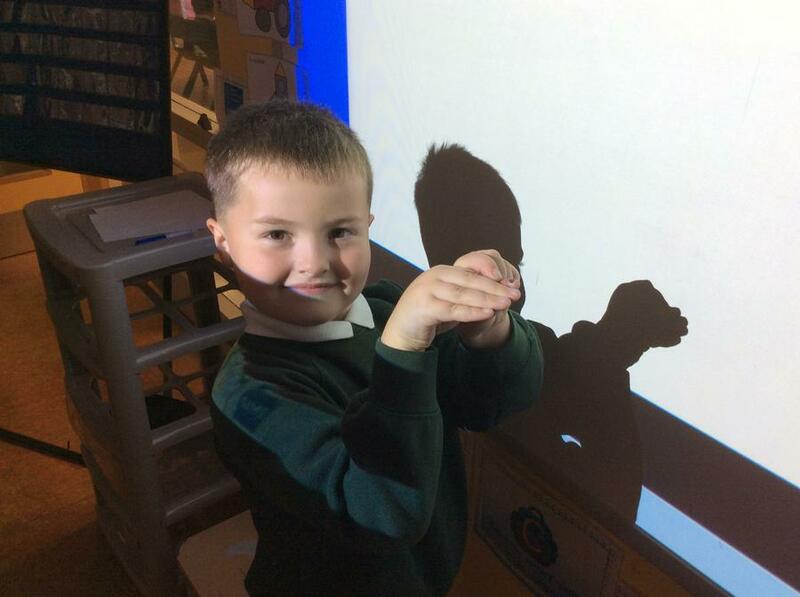 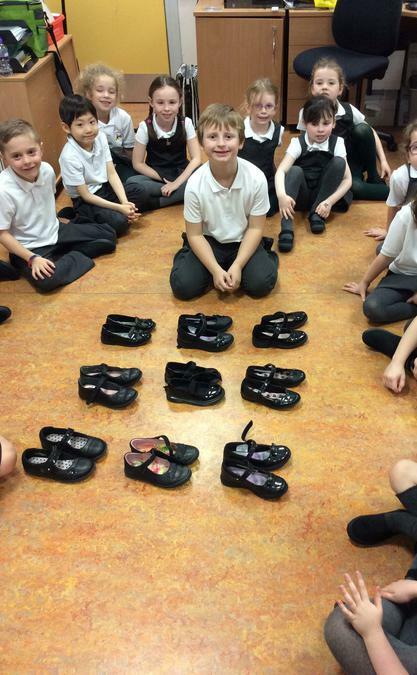 In P3DM we have been exploring shadows. 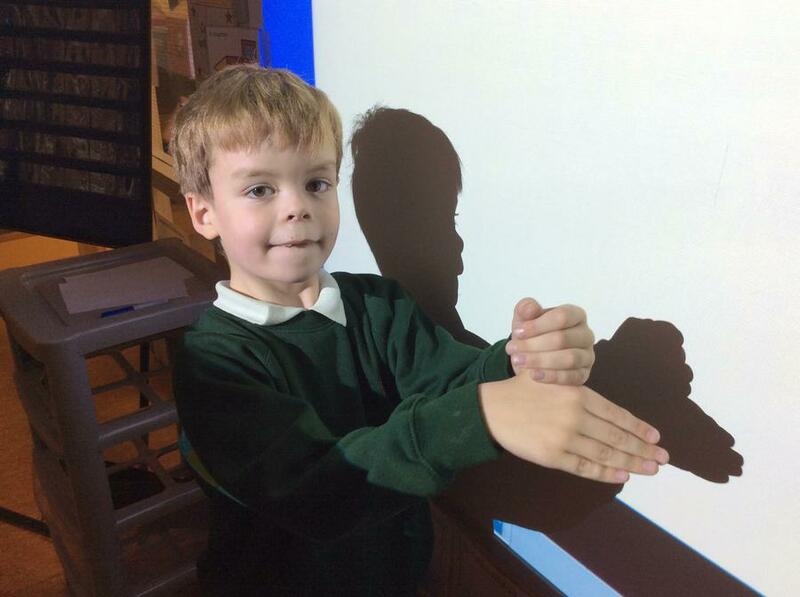 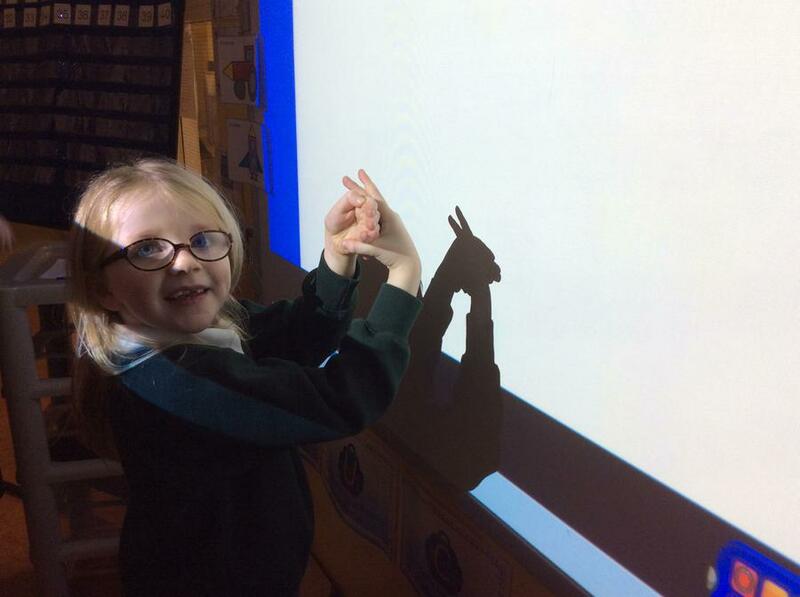 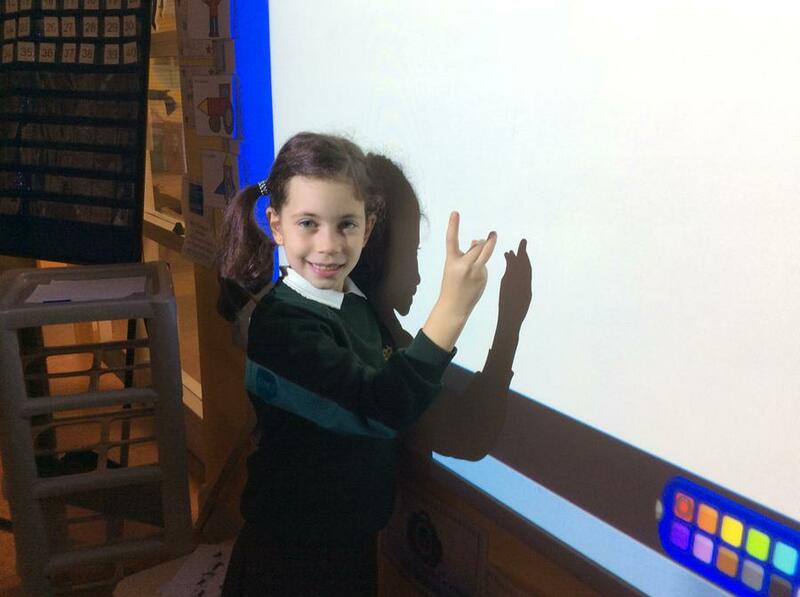 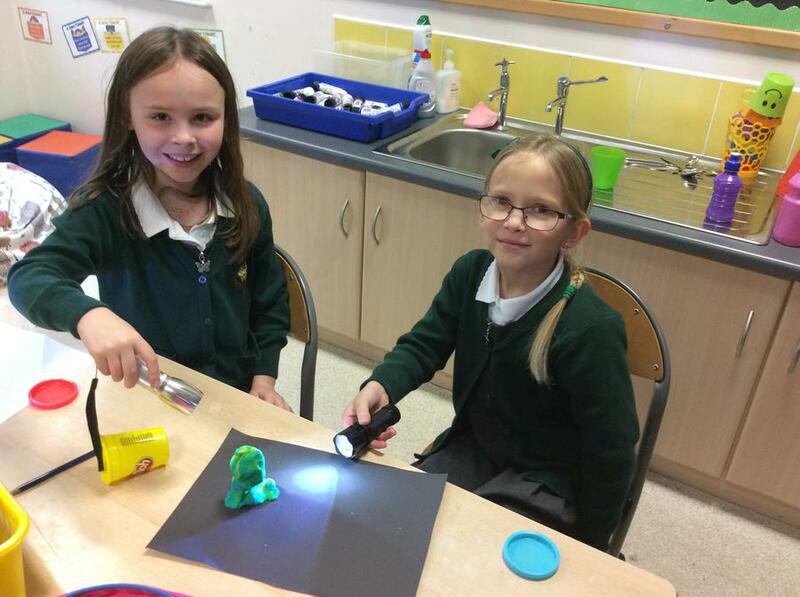 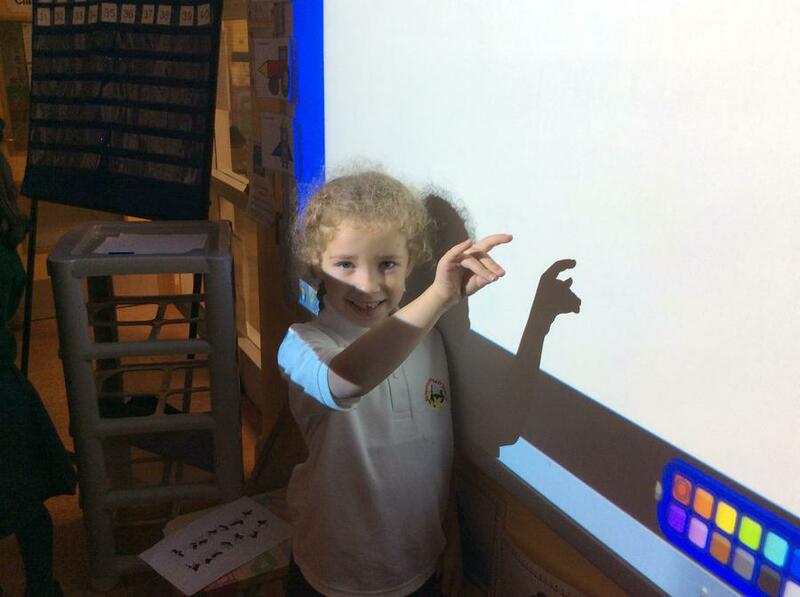 We have been using torches, the interactive whiteboard and other resources to help us create shadows. 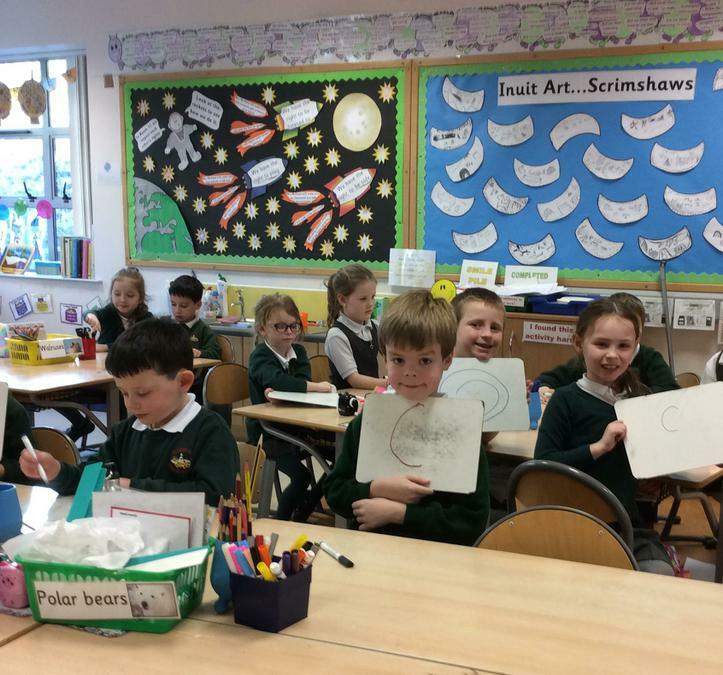 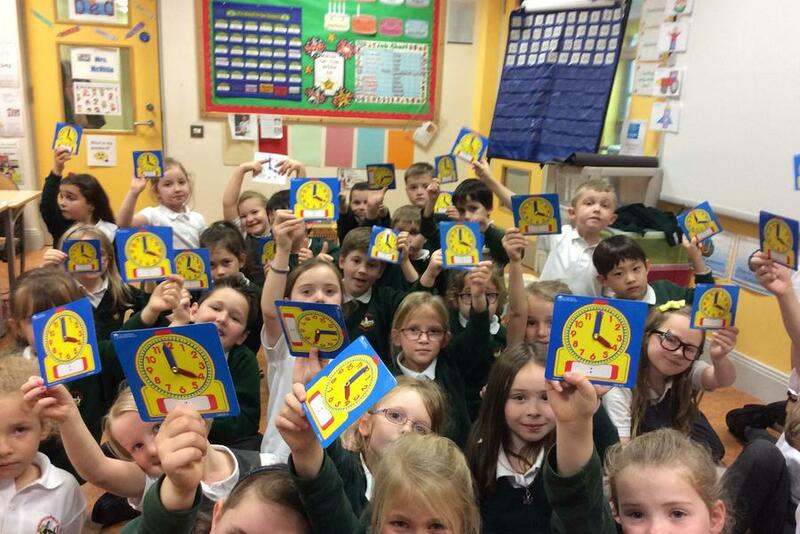 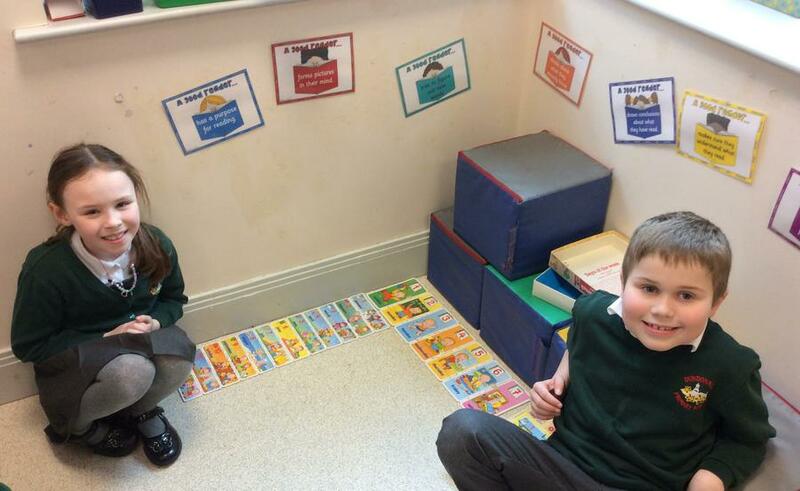 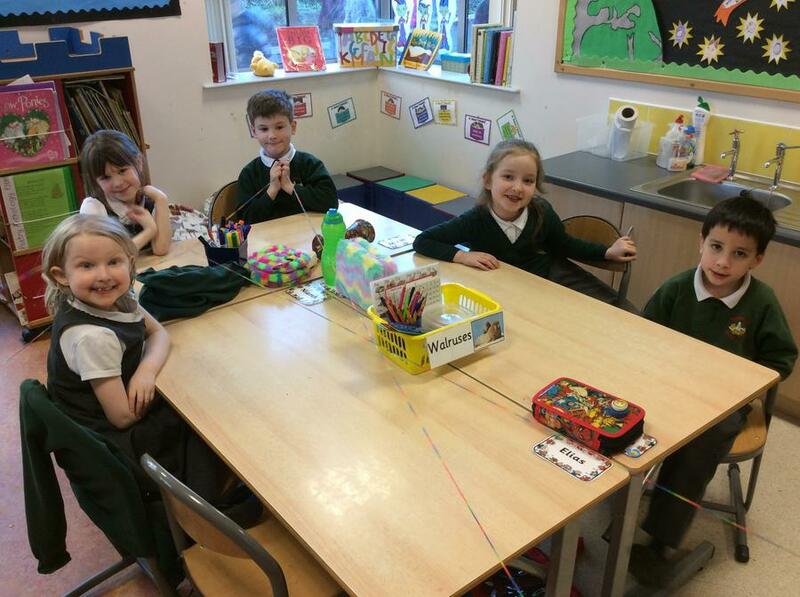 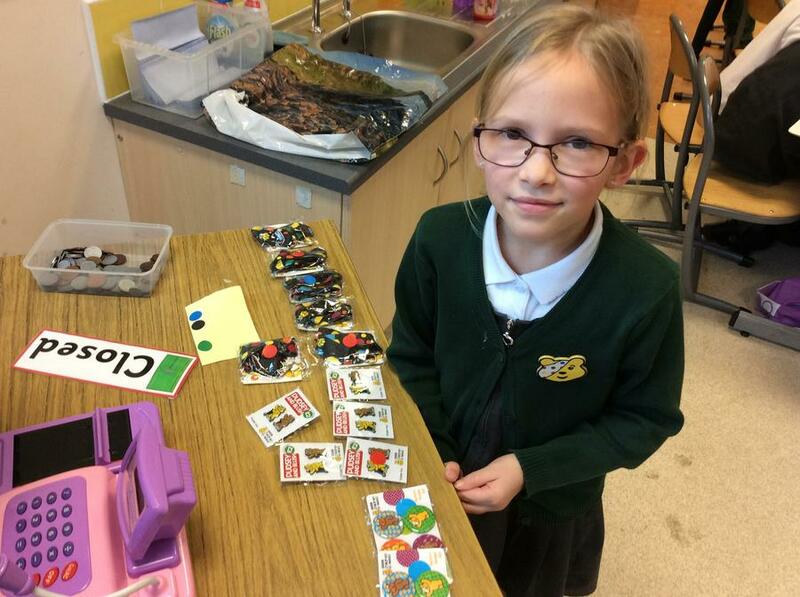 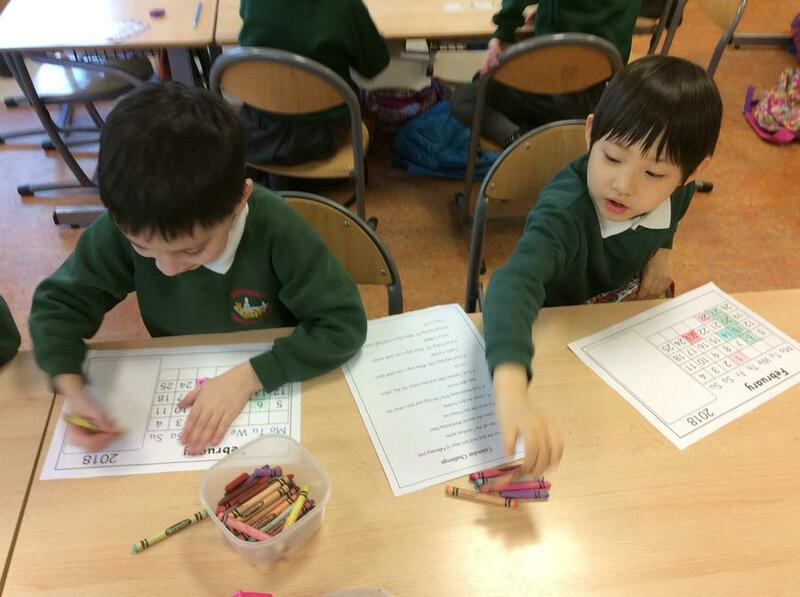 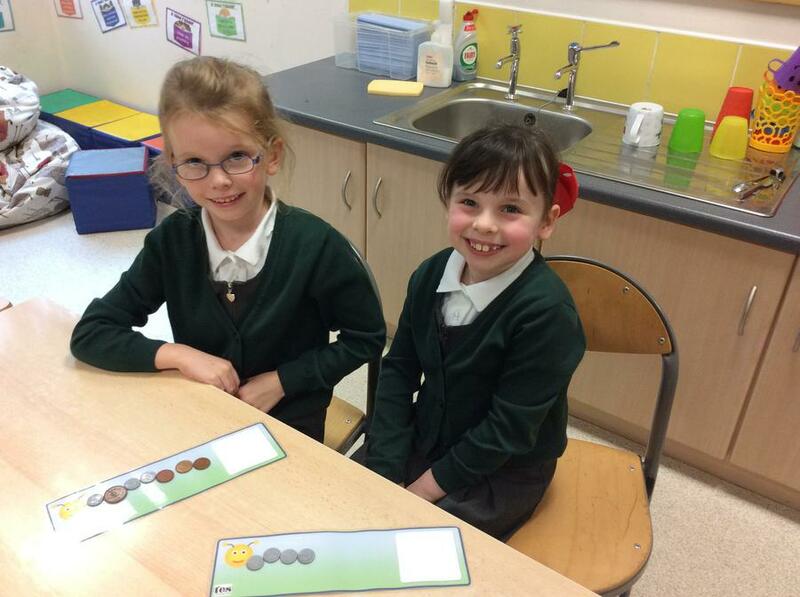 In class we have been counting in fives, learning about pairs and solving both time and money problems too!